Jef Cornelis (°1941) began his career in 1963 at the arts department of BRT  Television as a television director. Between 1964 and 1998 he directed more than two hundred television programmes, including debates, live broadcasts, films on modern art, architecture, cultural affairs and the Flemish landscape. With Inside the White Tube. A retrospective view on the television work of Jef Cornelis Argos pays homage to this pioneer, presenting a selection of works that map his career and show how Belgian television has evolved during the last four decades of the 20th century. Considering the wide range of themes and the amount of works, it is impossible to present a complete overview of Cornelis’ career and the curators have consequently avoided an encyclopaedic approach. They have instead chosen to highlight and articulate particular aspects of Cornelis’ work, creating clusters of important themes that are linked to specific television formats. The exhibition is thus made up of four sections – DECADES, ARGUMENTS, SPEAKING IN TONGUES and COUNTERPOINTS – in which the aesthetic strategies Cornelis uses to undermine the medium television are revealed and correlated. Public television was introduced in Belgium in 1953. Although it had a monopoly on broadcasting till the late 1980s when the first private television companies were founded, the broadcasting system traditionally paid a lot of attention to “the average man” and to ratings. For four decades, not without some friction between himself and his television network, Cornelis refused to go along with the restrictive aspects of the system. On the contrary, his approach makes it obvious that if a director with an great team creates favourable conditions, the result can be splendid television. In this respect, the first set of broadcasts aims to present the large scope of themes and aesthetic range Cornelis tackled in the course of his career. It also tries to analyse how television changes. 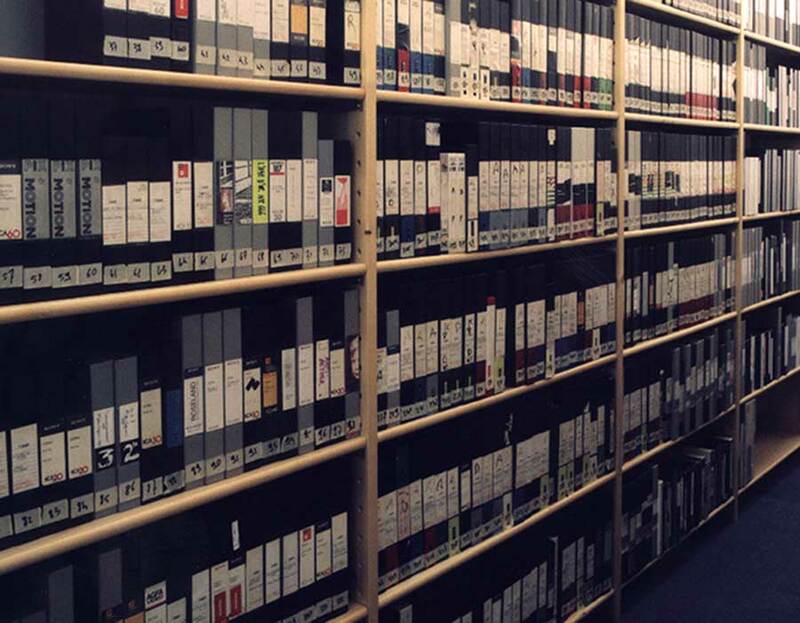 The DECADES selection therefore shows one programme per decade of Cornelis’ career and attempts to underline how the content, the context of the production, the audio-visual language and the technique used are equally relevant. At the same time, it shows how television and society have been evolved in the recent past. Abdij van Park Heverlee (Park Abbey Heverlee, 1964) is an unconventional documentary that dates from Cornelis’ early career. It is a medium-length film without any interview and without voice-over, given to an analytical enquiry into the architectural aspects of the 12th-century abbey near Leuven and into the life of its inhabitants. It seems impossible to escape the influence of the Nouvelle Vague film. Think for example of the breathtaking shots in L'Année dernière à Marienbad (Last Year at Marienbad, 1961) by Alain Resnais. Yet despite his tender age, Cornelis’ cinematographic style is already mature. It is characterized by linear and precise camera movements, clever editing and a concrete soundtrack. Furthermore, Abdij van Park Heverlee introduces a recurrent theme in Cornelis’ oeuvre: Belgian architectural heritage and history. Several of Cornelis’ films are actually about older and modern buildings, such as the Royal Palace, the Royal Greenhouses, churches, abbeys and castles . Finally, Abdij van Park Heverlee is also quite revealing with regard to Cornelis’ approach. Though he worked at a network that tended to tell its directors what programmes to make, Cornelis used the system to do make the films he wanted to make. For him, the network was more like a production tool than providing stable employment. In the late 1960s, Cornelis started to work with screenwriter Geert Bekaert for a series of films that took him from architecture to urbanism. Starting with the three episodes of the series Waarover men niet spreekt  (What is left unspoken, 1968), their collaboration resulted in a corpus of films  that are neither fictional nor documentary reports, but rather aspire to the form of the essay. In the 1970s, Cornelis started to use a helicopter as a technically useful tool for the camera. 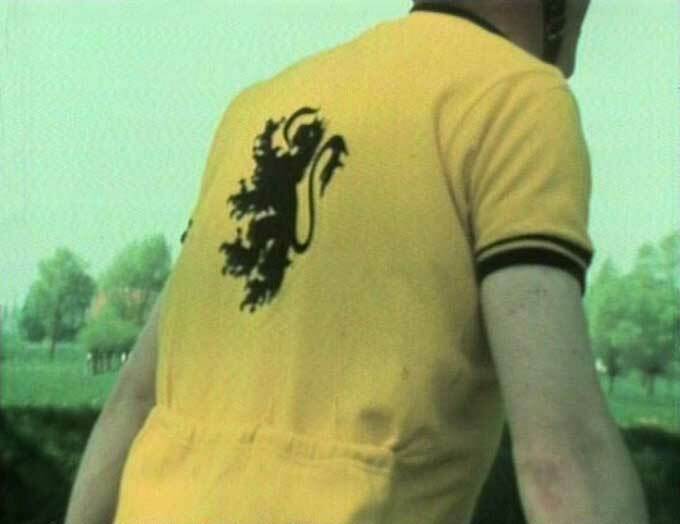 For two of these “helicopter films”, he collaborated with the Flemish writers Daniël Robberechts and Leo Pleysier, namely Vlaanderen in vogelvlucht (A bird's eye view of Flanders, 1976) and Vlaanderen 77 (Flanders 77, 1977). In this context, De Straat (The Street, 1972) perfectly illustrates Cornelis’ output in the 1970s. Firstly, his team of collaborators included the screenwriter Geert Bekaert, the cameraman Guido van Rooy and the editor Gust Malfliet. Then, De Straat goes further than Abdij van Park Heverlee because it is a purely cinematic essay in which he also uses some helicopter shots that are characteristic of his style at the time. Thematically, the film is an analytical reflection about how the street has evolved and deteriorated. Streets, once public, have become a fragment of an unnatural and ruthless production system; their decay has become obvious since, starting with Le Corbusier, they have been turned into a transport machine. Apart from these aspects, the context of the production of film is as important as the final result. In fact, the film De Straat was conceived as an extension of the exhibition De Straat. Vorm van samenleven (The street. A way of living together) that took place at the Van Abbemuseum (Eindhoven, June to September 1972). The exhibition considered the visitors as “users” and assigned them a central part. It was hoped that raising issues concerning the environment and the way it was planned and designed, would activate public awareness and participation in cultural and social processes. After all, the street was “from, for and by everyone”, an expression and manifestation of society itself. Cornelis therefore proposed to broadcast this film on Flemish television precisely on September 14th 1972 in an attempt to get television involved in an actual social process. In this way, the exhibition would not confined to the walls of the museum: it would reach out to the television network. 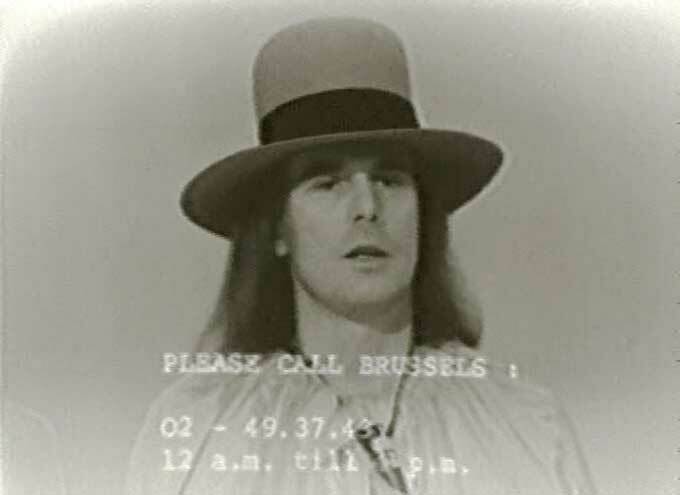 Whereas in 1969 Cornelis turned the BRT studio with James Lee Byars: World Question Center (1969) into a performance space, in this instance we can consider television as an exhibition space or, at least, as the carrier of an exhibition concept. In this sense the attempt to go beyond the closed circuit of the museum and the intention to reach out to the public sphere—in short, the social element—brings De Straat closer to Alexander Kluge's position  than Gerry Schum . From the start of his career, Jef Cornelis has directed remarkable films about contemporary art events  or has made reports on exhibitions about artists such as Marcel Broodthaers, Christo, Richard Hamilton, Martial Raysse, or Andy Warhol. In the 1980s, the artists whom he had interviewed in the 60s and in the 70s had become active on an international stage, while the art system had become gentrified and aspired for spectacle. Cornelis followed up this process and demonstrated that television could be one of the main participants in an art manifestation. On June 21st 1986, he directed a live broadcast that lasted more than 6 hours. The programme covered the opening of the projects Chambres d'amis, curated by Jan Hoet, and Initiatif '86, curated by Jean-Hubert Martin, Gosse Oosterhof and Kasper König. 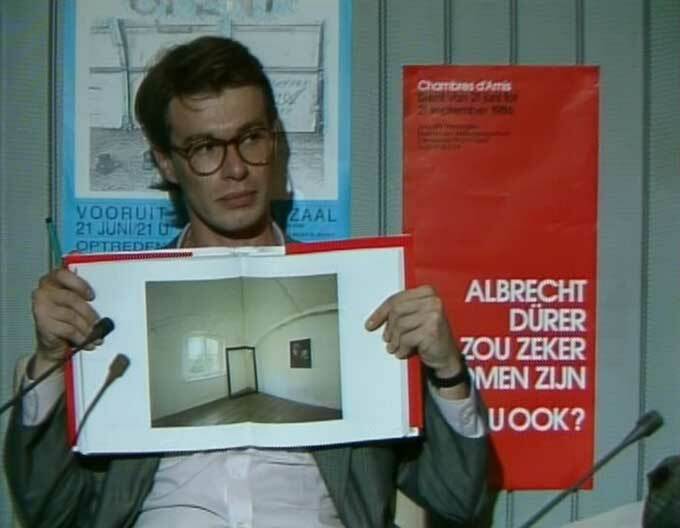 Once again, De langste dag (The Longest Day, 1986) shows that for Cornelis contemporary art is not a starting point—rather he confronts the public with the potential and the limits of the medium television. By questioning the ability of live television to present contemporary art and the opening of an art manifestation, Cornelis simultaneously tests the visual art discourse and televised audio-visual culture, and causes cracks to appear in what we think of them. The programme combined live aerial footage from a helicopter with interviews of the organisers and the artists. Using satellite links and two mobile camera teams, it also connected different locations in the town with the studio, where the critic Germano Celant and art historian Denys Zacharopoulos were the guests of host Chris Dercon. Their comments and reflections counterbalanced the official presentations and ceremonies. Furthermore, spectators could telephone and ask questions to the journalists, while the mobile teams also interviewed Ghent inhabitants. Finally, in over six hours of television, this true opus magnum condenses Cornelis’ approach to television: live broadcast, interviews, critical approach to the topic, aerial shots, multiple layers and points of view brought together in order to generate clashes and stimulate public debate. Our itinerary through the decades of Cornelis’ activities ends with his last broadcast. Screened on October 28th 1997, De kleuren van de geest (The colours of the mind) clashes head-on with the standard language of television, which had lapsed in mere entertainment; furthermore, the director refuses to engage in a battle with the private networks to reach a wider audience. The film is an audio-visual essay about trance. Unlike De Straat, this film was inspired by an exhibition, namely De Kleuren van de Geest: Dans en Trance in Afro-Europese tradities (The colours of the mind: dance and trance in the Afro-European tradition), which took place from 31 Augustus 31st to November 30th 1997 in the Royal Museum of Fine Arts in Antwerp. For the text and the screenplay, he worked together with Paul Vandenbroeck, the curator of the exhibition and the author of the exhibition catalogue. The film became thus a sort of audio-visual translation of the exhibition, which presented works dating from a period that spanned about 25 centuries and which came from a variety of cultures. What strikes us in De kleuren van de geest, is the lively and sharp approach of the theme as well as the editing. 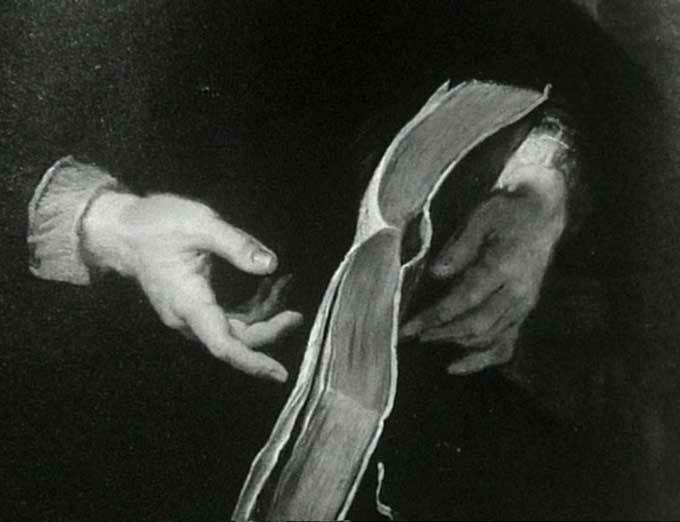 Like in previous works, Cornelis uses different kinds of footage, but in this instance he ventures even further: he alternates views of ancient paintings, sequences of Gnawa dances and old prints with footage from the documentary La Taranta (Tarantula, 1961) by the Italian director Gianfranco Mingozzi. The various visual sources are connected by a voice-over that outlines the links between epochs and regions, but it also provides contextual hints rather than a didactic historical summary. In this respect, the programme uses television as a platform for culture that can stimulate socio-historical reflections about a specific topic. Furthermore, it shows how the same theme can be effectively presented with different media —television, an exhibition and a book (the catalogue) — and how, within the television network, it can be approached in a very unconventional and unformatted way. The four works in the DECADES section of the exhibition all have their own style and consider television respectively as a production tool and screening room for an innovative documentary (Abdij van Park Heverlee), as an extension of an exhibition space (De Straat), a live participant in an event (De langste dag) and, finally, a place to engage with a socio-historical phenomenon (De kleuren van de geest). The second part of the exhibition, ARGUMENTS, focuses on a specific format within Jef Cornelis’ practice. In fact, as early as the beginning of the 1980s, Cornelis began to deal with television at its most basic level, as a means of communication and a vehicle for conveying information. He therefore focused onto the talk show format, where he was exceptionally creative in applying his imperatives. In his talk shows, Cornelis attaches great value to the contents. He treats particularly varied subjects—to mention just a few: the art of cooking, sentimentality, collecting art objects, the character of Don Juan, humour and entertainment, the origin of the department store, Art Deco or the flute. From these disparate topics, we have selected four different examples, i.e. 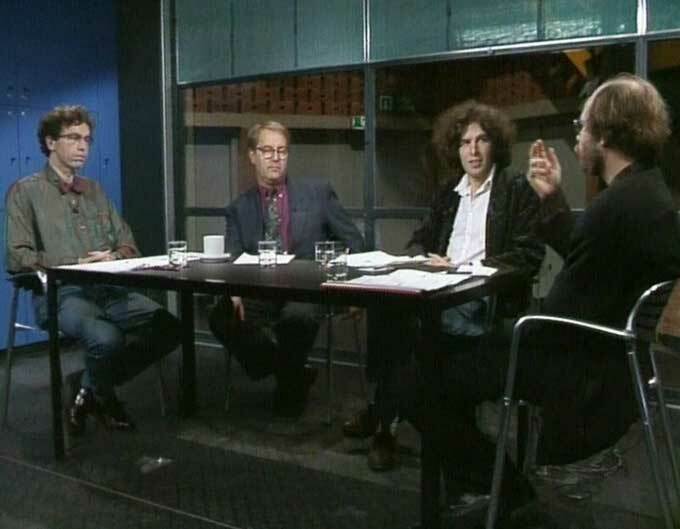 four talk shows directed by Cornelis between 1984 and 1993. The selection not merely aims to introduce different themes, but also to track how Cornelis developed pioneering methods to present them. 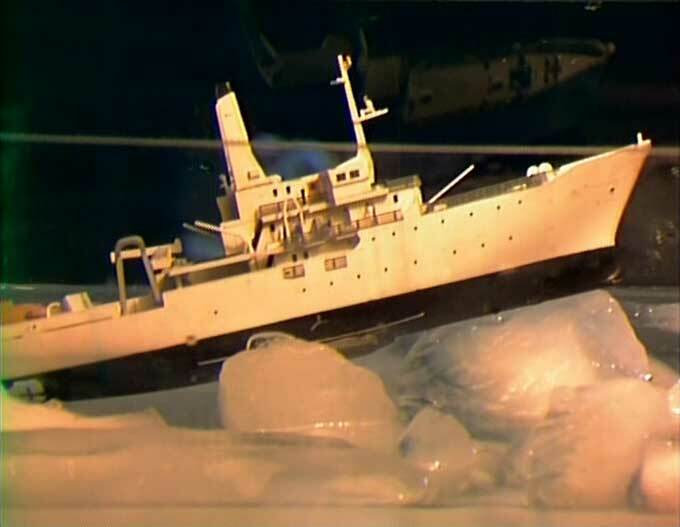 For the Ijsbreker (Icebreaker, 1983-1984) series, Cornelis used satellite links, a very advanced technology at the time. The programme is created right before the eyes of the viewer and aspires to tear down the high walls that surround debates about culture, while at the same time it breaks with the ready-made smoothness that prevailed among television makers at the time. What were then the early stages of modern prying techniques, were for Cornelis a means to switch faster between various ideas and discussions. This resulted in confusion. The conversations, taking place at different locations, got completely out of hand and left the viewer wondering what was going on. In Ijsbreker 16: Lichamen – toonbeelden (Icebreaker 16: The Body – Model Images, 1984), “body culture” is discussed through live links that connect three different localities: the Bruges Athletic Centre for bodybuilding in Bruges, a photo shoot for a fashion magazine in Vosselare, and Studio 3 at the BRT in Brussels, where the philosopher Rit Van den Bergh asks critical questions about culture, which in her view is lapsing into narcissism and imitational behaviour. Though the programme explores the theme of “body culture”, the choice of showing Ijsbreker 16 is primarily intended to account for the format used by Cornelis. Ijsbreker breaks the unity of action and place while it retains the unity of time, which is the time of the live broadcast. This fundamental feature inevitably marks the way the programme progresses because the clashes and discords are also magnified by the live editing as such and the attitudes the guests adopt on television. Finally, though we do not specifically focus on the subject, it is also possible to speculate about a possible link between the inner narcissism of television and “body culture”. Two years later, in 1986, Cornelis coordinated the programme Beeldende kunst in België, 1986 (Visual Arts in Belgium, 1986) , which was directed by Freddy Coppens, one of his former collaborators of the Ijsbreker series. 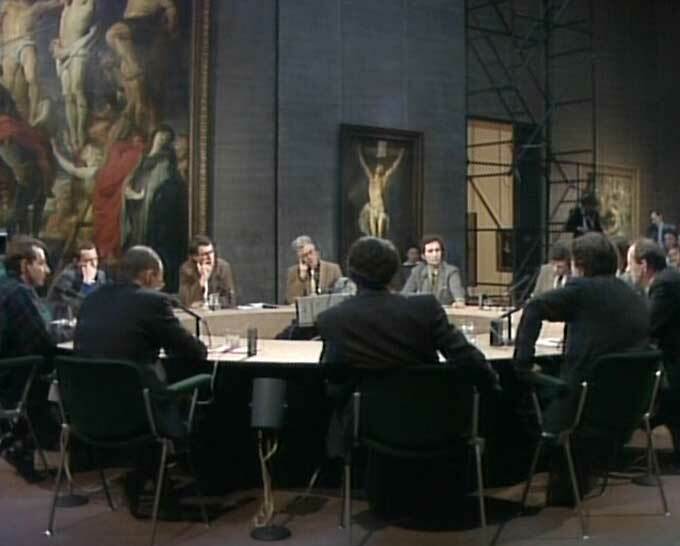 Originally aired on March 16th, the broadcast is meant as an introductory televised debate about the state of Belgian visual arts — and of course about how art relates to television — before the forthcoming opening of Initiatif '86 and Chambres d'amis on June 21st, which Cornelis documented in De langste dag. In the Royal Museum of Fine Arts in Antwerp, an international panel of museum directors, critics and curators reflected about what was going on at the Belgian art scene and within the system. Surrounded by Rubens’ paintings and a public composed of artists, collectors and politicians, Chris Dercon urges his guests to relate their experiences and views about contemporary Belgian art. With regard to the content, it strikes us that the debate is practically the same today. Stylistically, the editing is a legato of medium shots of the guests, but sometimes we get full shots of the round table and the public around it. In this instance, unlike in Ijsbreker, Cornelis creates tension and tells the story starting from a presumably tedious discussion. Within the context of a television broadcast, the participants seem to participate in a play in which a sort of consensus undermines the entire conversation. 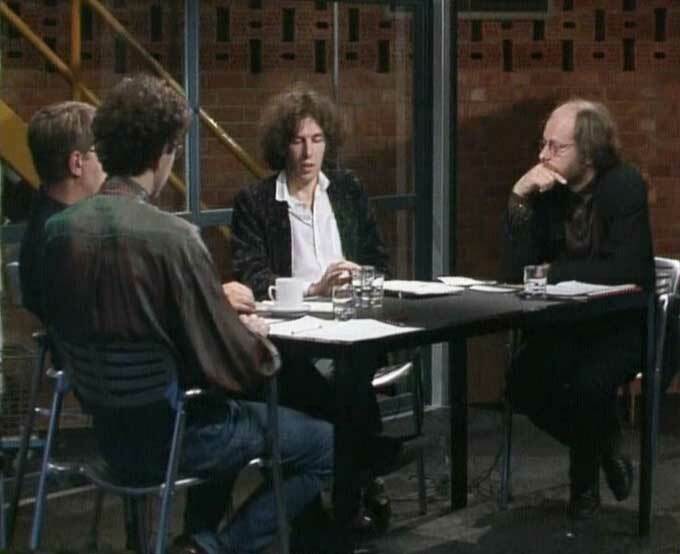 Furthermore, Beeldende kunst in België, 1986 functions as the other side of the coin of the live broadcast De langste dag; at the same time, it shows us the “Zeitgeist” that prevailed in Belgian television and arts in 1986. Later, near the end of the 1980s, Cornelis set out on new formal roads. 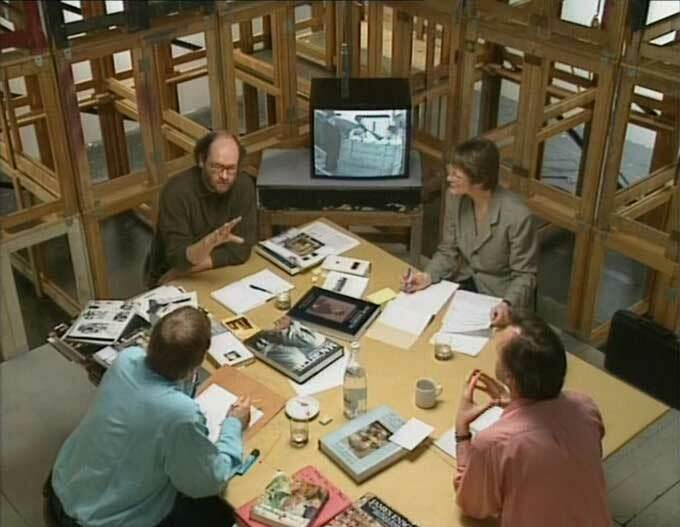 The truly legendary ten episodes of the series Container (1989) were based on an extremely simple and fixed concept: the maker gathered a number of young thinkers together in a small container for an uninterrupted debate. Once again, Cornelis managed to create confusion—and not just because his guests interrupt one another and all talk at the same time about matters entirely unrelated to the lives of the “average man”. In CONTAINER 10: exotismen (1989), the conversation is about the predominantly Western fascination with exotic cultures. To some extent, exoticism confirms and reproduces deep-rooted stereotypes and representations, it creates dream worlds that influence our perspective and make us see things the way we want to see them. Though the visible layers of the subject discussed are still relevant today and demonstrate Cornelis’ capacity to anticipate current topics, Container 10 is primarily a remarkable example of this uncompromising format. In fact, Container is first and foremost about exposing a medium. Cornelis demonstrates “misunderstandings” that are generally not discussed on television, or that are not allowed to be discussed by the medium. The stuttering moderators— the critic Bart Verschaffel and the philosopher Lieven de Cauter — search for new questions to ask, while the nervous guests — the historian Eddy Stole and the art historian Paul Vandenbroeck — are hesitant about the answers and about how to articulate their views. In Container, Cornelis does not mask the shortcomings of his medium, but isolates and highlights them. It is obvious that, given the prevailing television standards, a self-willed programme such as this could not survive for long. Obviously, the section ARGUMENTS ends with The Music Box (1993). 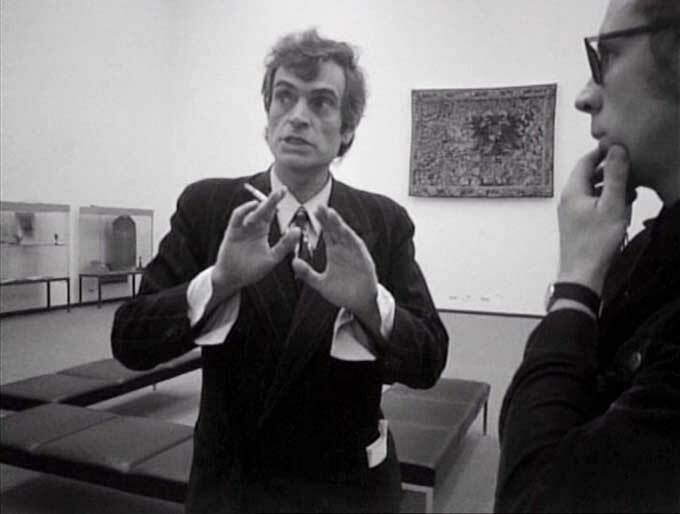 Nearing the end of his career, Cornelis himself appears in this programme: instead of remaining off-camera as in the portrait Jan Vercruysse, 1990, he takes part in the discussion, together with Christine Kloeck, the art historian Geert Bekaert, the art critic Dirk Lauwaert and his collaborator Bart Verschaffel. Whereas in the course of his earlier career, Cornelis had always been the man behind the scene, in his last productions his attitude sometimes seems to be changed. The programme is based on the Container format, but here images of works of art alternate with fragments from conversations with the guests, illustrating the point director Jef Cornelis and screenwriter Bart Verschaffel (1956) try to make. 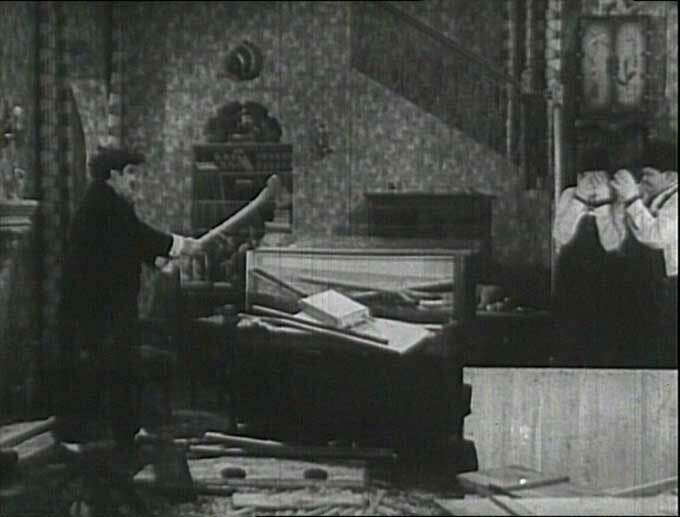 Starting point for The Music Box is Stan Laurel and Oliver Hardy’s remake of their own Hats Off (1927). The leitmotif of the programme is the piano, or more precisely, the bourgeois longing to have a piano in the home. Here it is used as a symbol of the difficult and uncertain position of art has in the middle-class way of life. Four near-monographic chapters are therefore dedicated to the artists Henri De Braekeleer, James Ensor, René Magritte and Jan Vercruysse. All of them, in their own way, have accepted the middle-class way of life and use it as a basic ingredient for images and for an art form that has actually no place within this middle-class mentality. ARGUMENTS adds an extra point of view that helps to understand Cornelis’ work and that highlights the specific format that makes him stand out among his fellow-television makers. Furthermore, ARGUMENTS also relates to the works presented in DECADES, because there are examples of live broadcasts, such as De langste dag, as well as programmes with an obvious essayistic character. Yet we are also confronted with challenging and heterogeneous topics that range from contemporary art and social issues to historical themes. In the end, using a relatively closed format, Jef Cornelis was able to take advantage of the potential of the medium, but also to demonstrate its limits. Like the first section of the exhibition, SPEAKING IN TONGUES presents major works, following a chronological order, but in this instance we focus on Cornelis’ involvement with fine arts through a selection of artists’ portraits he directed between 1969 and 1990. The title SPEAKING IN TONGUES does not refer to glossolalia  or xenoglossia , but to what we call today “automatic” or “unconscious” talking. The title wants to suggest that though the artists prepared their statements, which were then recorded by Cornelis, today these words seem to be spoken without bearing in mind the idea that they would be indelibly fixed on film or video and, therefore, persist. In fact, would the artists portrayed still agree with their then claims? Or would they now feel uncomfortable with them? SPEAKING IN TONGUES also highlights that although Cornelis pretended to be at odds with contemporary art, he was strongly personally involved. 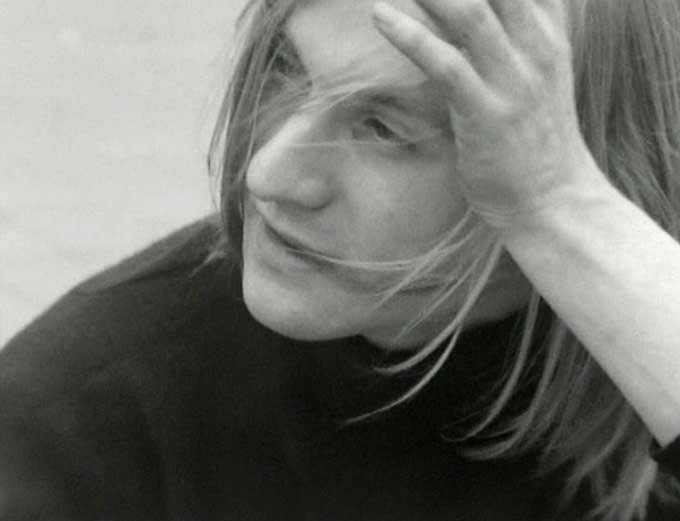 In 1969 he was one of the founders of A379089, an alternative art centre in Antwerp that presented itself as an “anti-museum” or “anti-gallery”. Together with A379089's coordinator, Kasper König, Cornelis organized exhibitions with Carl André, Marcel Broodthaers, Jörg Immendorf, La Monte Young and Panamarenko. Cornelis’ association with art has in fact been just as ambivalent as his relationship with the medium television: there have been great leaps between intense love and hate. On television, his first strong impulse started with his film about the 33rd edition of the Venice Biennial (XXIII Biennale Internazionale d'Arte Venezia, 1966) and ended with his Documenta 5 (1972). These films are not merely reports because they also show the “phenomenon” that surrounds these art events and how the avant-garde was turned into something everyday. 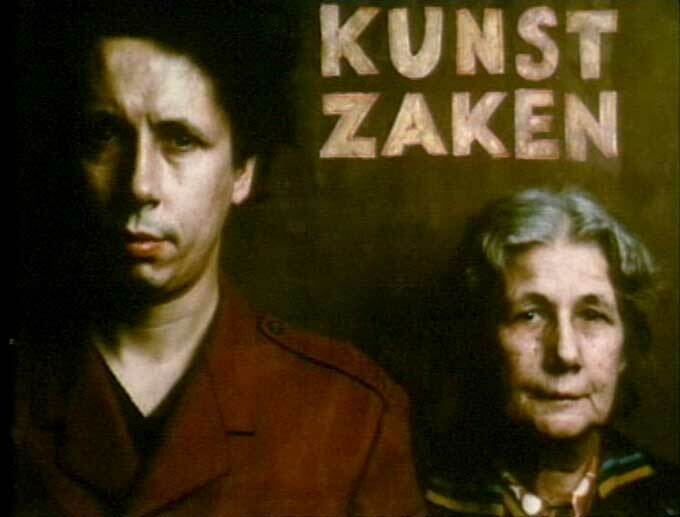 Apart from several medium-length films, Cornelis also directed several short reports for the television series Zoeklicht (Searchlight) and Openbaar Kunstbezit (Public Art Heritage); yet in 1972 he almost abandoned everything related to contemporary art, only to pick the thread of art again in the early 1980s. In 1995 his renewed interest finally led him to curate a group exhibition with works by artists such as Rita McBride, James Ensor, Craigie Horsfield, On Kawara, René Magritte, Panamarenko, Cindy Sherman (and other artists) in the Witte de With Center for Contemporary Art in Rotterdam. The title Call It Sleep referred to the moment between sleep and awakening and it was an exploration of the complex correlation between cinema and the visual arts. Dating from his early days at the BRT, the film James Lee Byars: World Question Center (1969) is probably the most astonishing. 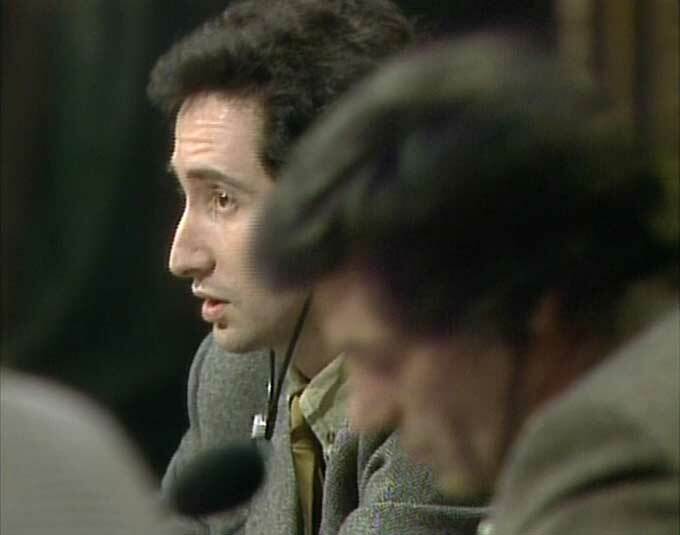 In fact, no subtitles or dubbing were available, the programme was not really scripted, technical accidents were always lurking around the corner, and Byars was free as to what to reply to his interlocutors. The live broadcast — sponsored by Los Angeles County Museum’s Art and Technology Project — gave a stage to James Lee Byars and literally turned the television studio in a podium. Surrounded by people all dressed in pink robes designed by Byars, the American artist asked his interlocutors — either members of the public in the studio, or people who were called by telephone — whether they could present a question that they felt was pertinent with regard to their own evolution of knowledge. Apart from the historical value of the programme, its relevance resides in the fact that its not a documentary about an artist or about an artistic performance in an art space: the live broadcast is the “performance” and this performance is precisely made possible thanks to the television infrastructure and tools available at the time. Instead of focusing on Cornelis’ medium-length films like Sonsbeek buiten de perken (1971) or Documenta 5 (1972), the exhibition presents a series of short documents that portray the zeitgeist of contemporary art of the early 1970s. Thus we focus only on the artists’ statements, while at the same time we present an overview of the various types of aesthetic concepts that inspired Cornelis. He also managed to capture the intentions of a new wave of conceptual artists that sought to reshape the art discourse and practice, while at the same time criticizing institutions as well as the concept of the museum and gallery. Cornelis’ films show us that art spaces seem to be too narrow-minded and restrictive for these artists. Philippe Van Snick for instance explains the concept behind his public intervention at the Grote Markt in Roeselare (Filip Van Snick: Stall-Ology, 1970), while Daniel Buren describes the way his work relates to the environment, outside and then inside the Wide White Space Gallery in Antwerp (Daniel Buren, 1971). Marcel Broodthaers guides us through his exhibition while explaining what turns an object into art — or not (Marcel Broodthaers °1924, 1972); Jacques Charlier proposes a work that gets rid of materiality (Jacques Charlier, 1972). 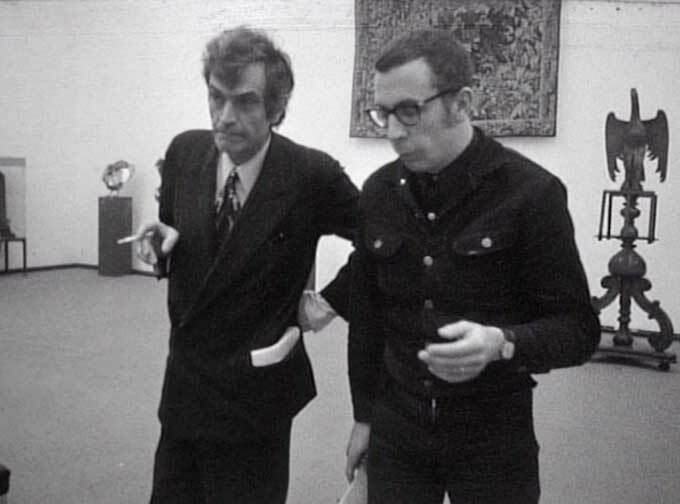 Finally, for Stanley Brouwn 6 stappen 10x (MTL Gallery Brussel) (1971), Cornelis gave the camera to the Dutch conceptual artist: as if a report about his exhibition in Brussels could only be made by the artist himself, through his personal approach of art. In these reports, Cornelis played the devil’s advocate and he invariably succeeded to manipulate the television codes and his subjects. 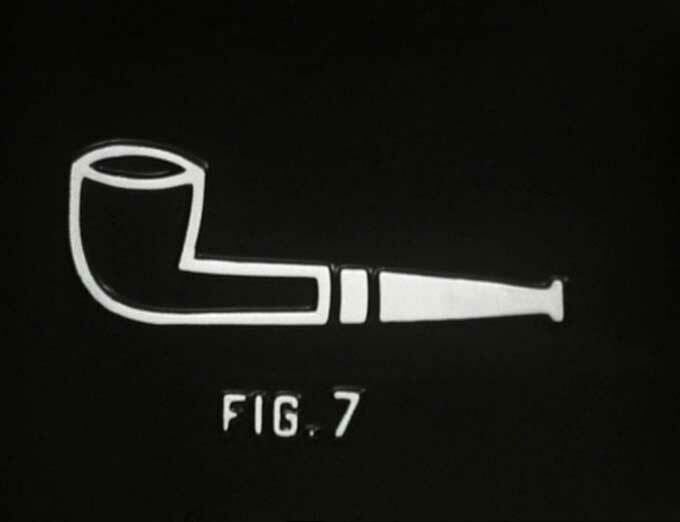 In fact, thanks to his uncommon way to depict artistic production, these short films document simultaneously depict the friction between artistic proposals and the art system, the discrepancy between artists’ goals and the outcome of their criticism, but also the gap between the artists’ concerns and the general public and television audience. In the 1980s, art and culture became domains that had to be managed like any other economic activity. The market radically changed artistic practices, and whereas in the period 1968-1972 art involved a utopian and critical element, now works of art turned into peaceful and valuable investments. In this context, it comes as no surprise that Cornelis proposed broadcasts such Ijsbreker 22: Cultuurmanagement (Icebreaker 22: Managing Culture, 1984), in which sponsorship and cultural management are scrutinized, or 3 x KUNSTONDERWIJS (3 X TEACHING ART, 1983) in which artists, art critics, gallery owners and museum directors visit the workshops of three higher art education institutions. In other cases, such as Biënnale van Parijs 1985 (Paris Biennial 1985), Een openbaar bad voor Munster (A Public Swimming-Pool for Munster, 1987) or Ouverture. Castello di Rivoli, 1985 (Opening. Castello di Rivoli, 1985), Cornelis focuses more on the art professionals — curators, project organizers, museum’s directors and the like — than on the artists on view. To some extent, the latter remain in the background and the artworks are present as if they speak for themselves. With its recurrent flashbacks to the 1971 broadcast Sonsbeek buiten de Perken in which the discussions among artists were central, Spaziergaenger mit Hund – Sonsbeek 86 (Promenader with dog – Sonsbeek 86, 1986) truly exemplifies how the art system and Cornelis’ perception of it have evolved. 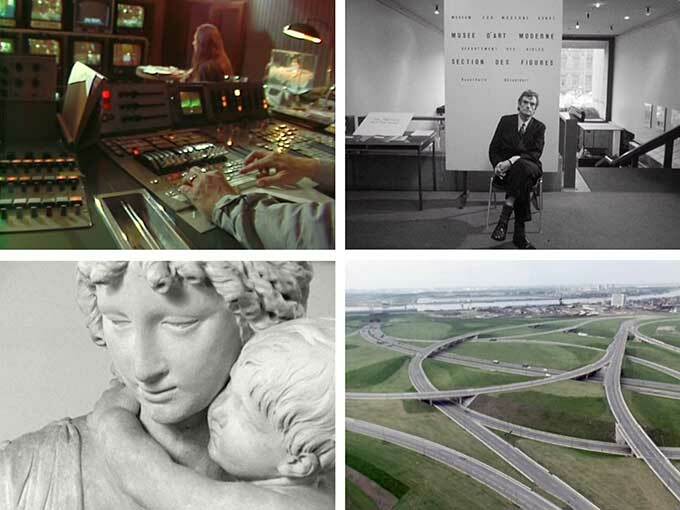 Though the exhibition remains in the background in these films, they continue to map the strategies Cornelis uses to produce artists’ monographs for television. In this respect, the second reportage Cornelis made about the French artist Daniel Buren — Daniel Buren (Palais Royal) (1986) — reaffirms how the paradigm changed within the art system. In this instance, Cornelis alternates images of Buren’s work in the main courtyard of the Palais Royal in Paris with an interview with the artist. Buren claims, among other things, that his installation is about the fact that “the location where a work is seen, is its frame (its boundary)” and ironically we should ask ourselves whether the frame is perhaps more present than the installation itself. From the announcement of Buren’s project in July 1985 till the conclusion in December 1992 of the lawsuit it had caused, there were infinite discussions about the work. It became a battlefield between local and national authorities, it occasioned harsh arguments between left-wing and right-wing politicians, it led to debate in the Council of State and the French Parliament, and as mention above, it also led to a lawsuit in a Paris Court. In 1986 alone the work was the subject of 225 articles and 45 different reviews. Our itinerary ends in 1990 with an interview with the Belgian artist Jan Vercruysse (Jan Vercruysse, 1990). Here, we are far from the live performance organised for Byars in 1969: the questions do not come from all over the world, because the interviewer is present off-camera. Unlike Broodthaers, (the first) Buren or Brouwn, Vercruysse does not tackle the problem the public sphere and art institutions. His statements also differ from the ones of the “integrated” Buren from the 1980s because the solipsist Vercruysse only focuses on his own works and concerns. All in all, it seems to us that television is no longer like a stage, but neither has it turned into a reality show yet. In this work, Cornelis for the first time in his life assumes the role of the interviewer, who — obviously off-screen — questions Vercruysse about the role of the artist and the relation of his art with the audience. The interview is fully shot in black and white and the editing alternates static images of Vercruysse discusses his work with illustrations of his paintings, sculptures and photographs. In this intimate and still portrait, Cornelis lets Vercruysse talk about his artistic vision and mission, but at the same time Vercruysse seems to speak about himself and Cornelis’ practice, as he states that art — or, in the case of Cornelis’ oeuvre: television — is like a trajectory which is not targeted towards direct communication: rather it is defined by ways of masking. The fourth and last section, COUNTERPOINTS, presents an additional selection of Cornelis’ filmography. The aim is to undermine previous positions and to present other broadcasts that complete or are at odds with the other works presented at the exhibition. In that sense, it is an alternative way of underlining the richness of Cornelis’ production and the director’s unconventional approach. The section mainly focuses on the period 1970-1974 because the 1970s are his most prolific decade. But COUNTERPOINTS also balances Cornelis’ fascination with contemporary art with a film made together with Bart Verschaffel. In C'EST MOY QUE JE PEINS, Wie alleen staat heeft recht van spreken (It is my own self that I am painting, he who stands alone has the right to speak, 1996) Cornelis explores the question about the place of the artist since times became “modern” at the beginning of the 19th century. Reminding the comparative approach in The Music Box, here Cornelis puts in perspective the position of the contemporary Belgian artist Thierry de Cordier with the writings of the modern painter Antoine Wiertz. In the context of the Zoeklicht series, Cornelis did not only focus on contemporary art, but also on ancient art, urbanism, books or design. Thematically Het Koninklijk Paleis, Antwerpen, ICC (The Royal Palace, Antwerp, 1970) echoes, for instance, Abdij van Park Heverlee, but it alternates detailed close-ups with views of traffic around the Palace. In this way, Cornelis’ iconoclastic style creates a contrast between the everyday traffic outside the palace and the uncompromising list of objects that are on view in the Palace. On the other hand, the short films Kitsch Gillo Dorfles (1970) and Marshall McLuhan (1971) present, at the same time, the contents of the books of these authors and evaluate their socio-political impact. In these three works, reporting about a publication or an exhibition is an occasion to experiment with the medium and to go beyond the intrinsic themes of the broadcast. On other occasions, Cornelis explicitly takes position and evaluates the critical potential of the themes. In this respect, the series KUNST ALS KRITIEK (ART AS CRITICISM, 1973) literally defines when art is critical and when it is not. In the third and fourth episodes, he claims that art is critical when “a cartoon moves into politics” (KUNST ALS KRITIEK. WANNEER IS KUNST WEL KRITIEK? 3. Wanneer een cartoon aan politiek doet, 1973) and “when the artist is toying around in all seriousness” (KUNST ALS KRITIEK. WANNEER IS KUNST WEL KRITIEK? 4. 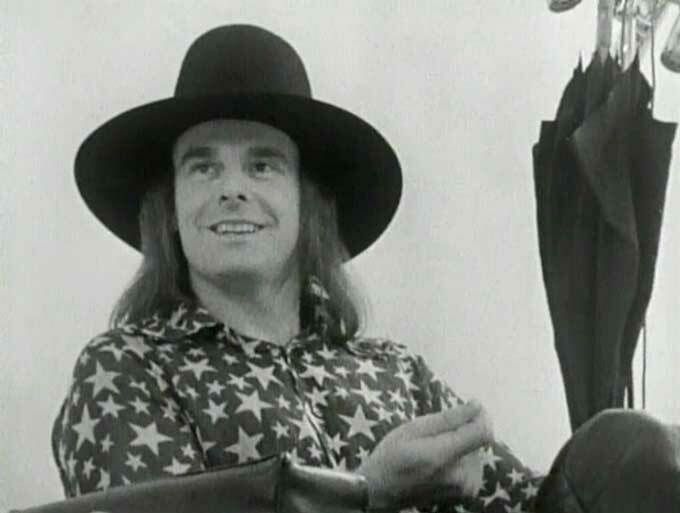 Wanneer de kunstenaar in alle ernst speelt, 1973). In both cases, Cornelis lets the cartoonist Gal and the Belgian artist Jef Geys freely express their points of view. Gal shows his cartoons and proposes that, if a caricature has a critical function, the act of drawing always fits into some political stance. Jef Geys on the other hand makes a playful public announcement, while at the same time he uses the programme’s broadcasting time as a publicity stunt in order to reveal the mechanisms of the medium of television. The same analytical eye is present in De Koninklijke serres van Laken 1877-1902 (The Royal Greenhouses at Laeken 1877-1902, 1974), but in this instance the images are without voice-over, which emphasizes both the majesty of this historical monument and the soundtrack written by the Belgian composer André Laporte (who was influenced by the Darmstadt avant-garde). Cornelis’ camera slowly strides the silhouettes of the Royal Greenhouses in Brussels, built in the mid-19th century by Alphonse Balat as a glass palace. As in his earlier trilogy (Alden Biezen, 1964; Abdij van Park Heverlee, 1964; Plus d'Honneur que d'Honneurs, 1965), Cornelis proceeds like a historian and urbanist, simultaneously situating the monument within the Belgian historical heritage and relating it to the surrounding landscape. The structures of the building, its internal and external view, the precise and increasing details slowly revealed by the camera, the documented references and quotes: all play an unmistakable role to Cornelis’ documentary style and the symbolic prestige of The Royal Greenhouses. 1964, 35mm transferred to video, 26'12”, b&w, Dutch spoken, English subtitles. At the beginning of his career, Jef Cornelis directed three analytical and poetical middle-length films about remarkable Belgian historical buildings. In Het Kasteel van Alden Biezen (On the castle of Alden Biezen, 1964) and Plus d'Honneur que d'Honneurs (Heaped with Honours, 1965), he presented a portrait of respectively the Grand Commandry Alden Biezen in Bilzen and Castle of the Princes de Mérode in Westerlo. In Abdij van Park Heverlee (Park Abbey Heverlee) Cornelis focuses on the Park Abbey near Leuven. The Abbey was founded in 1129 and inhabited by Premonstratensians, a Roman Catholic religious order of canons regular founded in Prémontré (France). The Abbey's history is intricate as it suffered during the wars waged by William of Orange (1533-1584) and it was confiscated two times, once during Holy Roman Emperor (1765-1790), then during the French Republic on February 1st 1797. After the declaration of the Kingdom of Belgium in 1830, the monks returned to the Abbey and restarted their community life. The film functions as an introduction to the architecture of this monument, but it also constitutes a remarkable example of Cornelis' cinematic style. The camera circulates around the Abbey and its interior, but the movement – also in the musical sense of the term – offers far more than a mere registration of a visual object. Cornelis depicts all aspects of the building and causes an architectural movement to unfold in space. Finally, the surroundings slowly reveal themselves through the inhabitants, but the film is a cinematographic object that needs to be understood in its conceptual entirety. 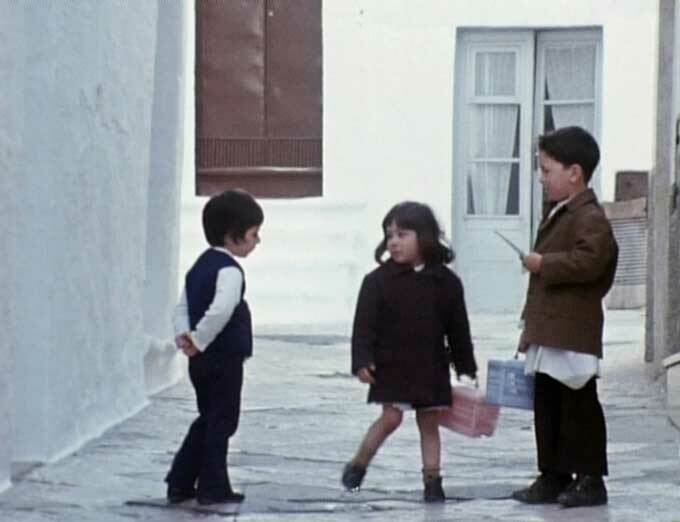 1972, 16mm transferred to video, 39'30”, colour and b&w, English spoken. The street is more like a machine of movement equipped to make traffic run smoothly than, in its original and spontaneous form, a breeding ground for life. The efficiency controlling the traffic grid does not merely affect the existing living area, but also the form and pattern of a new way of living. Residential areas have turned into traffic zones; inhabitants are pushed back into their homes. The function of the street, of the home and the working environment is marked off – there are no in-between spaces left, nothing but trajectories. With sound and image, director Jef Cornelis and screenwriter Geert Bekaert (°1928) evoke the deterioration of the street, once public, into a fragment of an unnatural, ruthless production system. This film was made at the occasion and as an extension of the exhibition De Straat. Vorm van samenleven (The street. A way of living together) that took place at the van Abbemuseum in Eindhoven (2 June - 24 September 1972). The exhibition assigned a central role to ‘the user’. It was hoped that raising issues concerning the environment and the way it was planned and designed, would activate public awareness and participation in cultural and social processes. 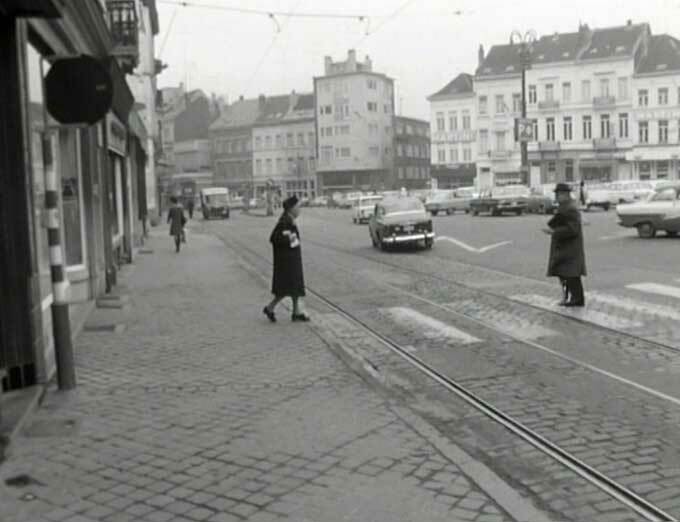 After all, the street was “from, for and by everyone”, an expression and manifestation of society itself, so this are probably the reason why Cornelis refused to take part to the exhibition and instead proposed to broadcast (precisely on September 14th 1972) his film on Flemish television. As a result, the exhibition was not confined to the walls of the museum, it reached out to the television network in order to involve television in an actual social process. References: Tjeerd Deelstra e.a., De straat: Vorm van samenleven, Eindhoven: Stedelijk van Abbemuseum, 1972. Sofie De Caigny & Ellen Van Impe (eds. ), Bewegende Landschappen: Over Stedenbouw en Film, Antwerp: Vlaams Architectuurinstituut / Centrum Vlaamse Architectuurarchiven, 2013. 1973, 16mm transferred to video, 5', colour, Dutch spoken, English subtitles. This film is part of a series of short thematic sketches focusing on the question Wanneer is Kunst Wel Kritiek? (When is Art Criticism?). In this third episode, the answer – which also serves as title – is “when a cartoon moves into politics”. As a caricature as such has a critical function, the act of drawing can always be made to fit some political stance. The more topical and therefore efficient it is, the less it can be part of great art, Jef Cornelis claims. Is a caricature artist a journalist or an artist? 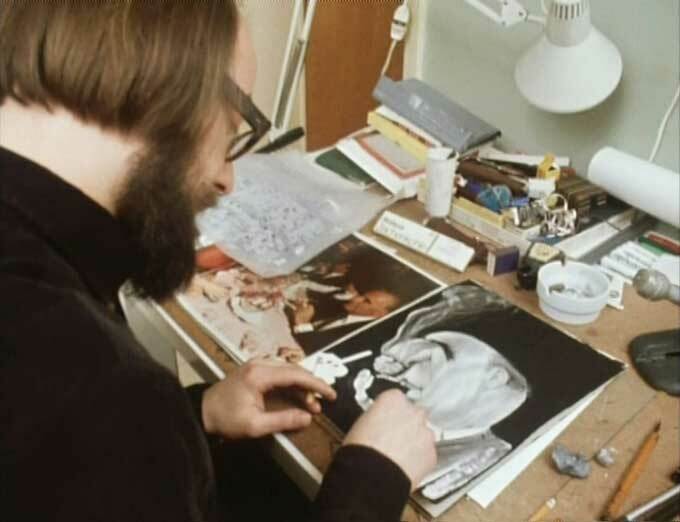 In this film, Gal (the pseudonym of the Belgian cartoonist Gerard Alsteens, °1940) discusses his work and the ways in which he creates his drawings and comments, his involvement in subjects and the effects he would like to achieve. 1973, 16mm transferred to video, 4'47”, colour, Dutch spoken, English subtitles. This film is part of a series of short sketches thematic focusing on the question Wanneer is Kunst Wel Kritiek? (When is Art Criticism?). For this fourth episode, the answer – which also serves as title – is “when the artist is toying around in all seriousness”. How can it happen? 'Many a true word is spoken in jest' seems to tell us the Belgian artist Jef Geys (°1934). In his statement, framed as a public announcement, he uses the programme’s broadcasting time as a publicity stunt, revealing the mechanisms of the medium of television at the same time. In a lengthy word of thanks the extensive media bureaucracy is stripped of its front, mentioning the relative cost of the programme and the broadcasting time. 1972, 16mm transferred to video, 4'43”, b&w, Dutch spoken, English subtitles. 1972, 16mm transferred to video, 4'32”, b&w, Dutch spoken, English subtitles. 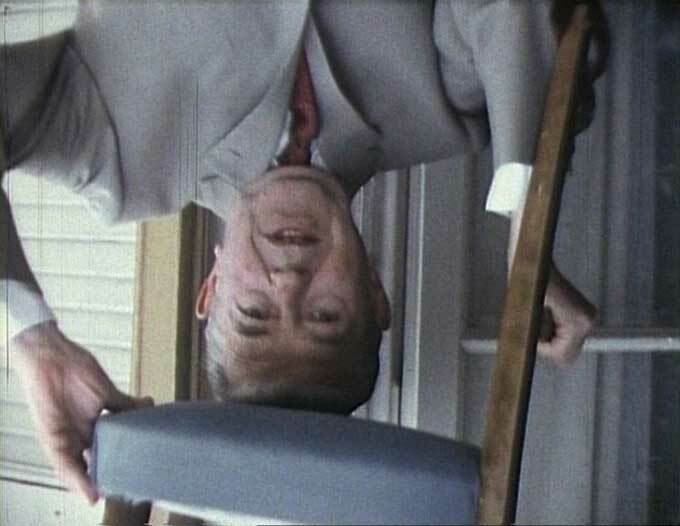 For the art programme Openbaar Kunstbezit (Public Art Heritage), Jef Cornelis directed two visual essays entitled Oog en hand als uitdrukking (Eye and hand as expression) in 1972. Here Cornelis is at his best: in these two televised pamphlets, he doesn’t mind abusing the rules of the medium. The films have a very free format, particularly when we bear in mind the television standards of the time. To the tune of Eastern lute music, we are presented a sequence – almost a pile-up – of photographic shots of sculptures and paintings from the East, the Middle Ages, the Renaissance and the Baroque, but also of modern Belgian and international masters such as Marc Chagall (1887-1985), Paul Delvaux (1897-1994), Constant Permeke (1886-1952), Jean Arp (1886-1966) or Pablo Picasso (1881-1973). The voice-over sounds both poetical and intractable: it meditates on the different ways of looking at the world and of communicating, then it guides us to consider whether a work of art depicting only one finger sometimes has more to say than one depicting a whole hand, whether a mask communicates as much as a hyperrealistic portrait, or whether the absence of eyes and hands can sometimes lead to an even more intense expression. The conclusion is that artists help us to understand each other better and maybe dream deeper beyond the visible. 1970, 16mm transferred to video, 4'40”, b&w, Dutch spoken, English subtitles. 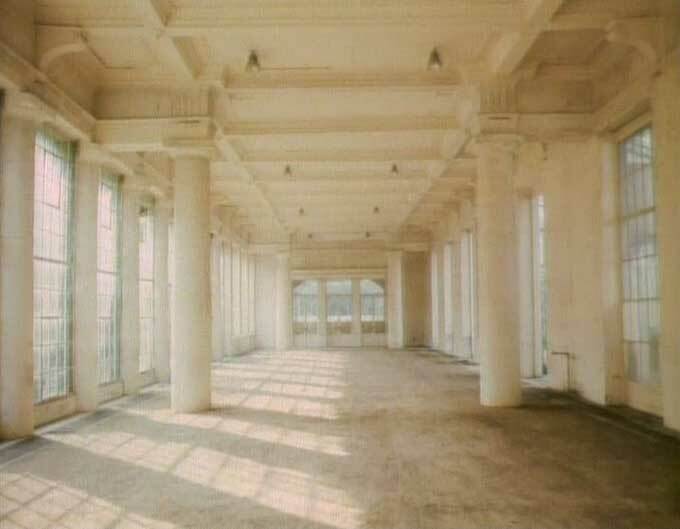 For the exhibition The Royal Palace - Builders and Inhabitants that took place in the former Royal Palace in 1970 at the Meir in Antwerp, Jef Cornelis delivers a short but unconventional documentary film. The original 18th century building used to provide accommodation to important rulers such as Napoleon Bonaparte (1769-1821), Willem I of the Netherlands (1772-1843) and the Belgian Royal House. Cornelis alternates accelerated views of traffic and people walking around the Palace and detailed close-ups of the interiors. A monotone and rhythmical voice-over lists objects present inside the building and gestures events outside. Reference: Hertha Leemans, Het Koninklijk Paleis: Bouwer & bewoners	ICC, Antwerp: Internationaal Cultureel Centrum, 1970. June 21st 1986. 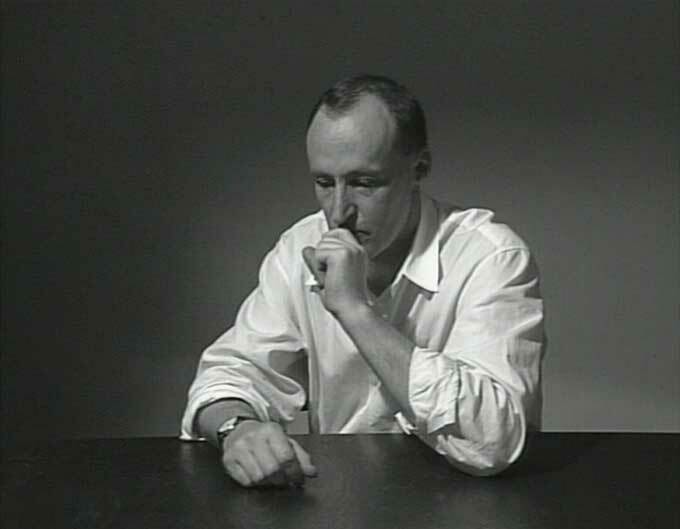 With over 6 hours of live television – hosted in the BRT studio in Brussels by the Belgian curator Chris Dercon (°1958), the Italian critic Germano Celant (°1940) and the Greek theorist Denys Zacharopoulos (°1952) - the programme De Langste Dag (The Longest Day) was one of the main elements of the art manifestation Initiatief ’86, an amalgam of exhibitions simultaneously unfolding at several venues in the city of Ghent. Initiatief ’86 came about when a dozen of Ghent art associations and galleries started a project for which three international curators – the French Jean-Hubert Martin (°1944), the Dutch Gosse Oosterhof (°1943) and the German Kasper König (°1943) – were invited to make their personal selection from contemporary visual arts in Belgium. This resulted in three exhibitions at the St. Peter’s Abbey. Jan Hoet (1936-2014), director of the Museum of Contemporary Art, added on a second component to this project, namely Chambres d’amis, for which he invited 50 national and international artists with an international reputation to create an original work in as many private homes as possible. The participating organisations also seized the opportunity to develop their own activities. The Museum of Contemporary Art exhibited its collection for an international public and the Belgian artist Wilfried Huet (°1940) set up an event of his own with a number of colleagues at the socio-cultural centre Vooruit, entitled Initiatief d’amis. Amidst these activities, a network of satellite links was set up during the opening: this enabled artists, organisers, critics and the public to act and interact live through the medium of television. Remarkably, this circuit was essentially based on one helicopter and two mobile camera teams that set up at several locations. The programme did not take a view on contemporary art as its starting point, but rather an idea about the way images work. Art can suggest, suppose and create assumptions, so how about television? Does art tolerate live television and vice versa? The programme refuses to catalogue art and it does not offer explanations or guidelines—instead it creates an open communication model geared towards action and activity, reflection and discussion, intervention and reaction. It visualises without being reproductive, without being an image or representation. It does display, however, its own activity as a visual medium, an activity that does not express itself in signs of cultural value, but in images of an audiovisual culture. Reference: Jo Coucke e.a. (eds. ), Chambres d'Amis, Ghent: Museum van Hedendaagse Kunst, 1986. 1970, 16mm transferred to video, 4'48”, b&w, Dutch spoken, English subtitles. The opening shot of this short film from the series Zoeklicht (Search light) shows the cover of the book Kitsch - An anthology of bad taste (first published in Italian in 1968, translated in English in 1970) by the Italian art critic, painter and philosopher Gillo Dorfles (°1910). In this film, Jef Cornelis displays a selection of photographs of kitsch objects and situations taken from the book while a voice-over quotes the Austrian-born writer Hermann Broch (1886-1951) and comments on Dorfles' book and the concept of kitsch. The term kitsch supposedly appeared around the second half of the 19th century at markets in Munich, Germany, and it was used to describe cheap, popular and marketable pictures. Nowadays it's mostly used in a pejorative way to refer to mass-produced art, music or design objects that have a solely ornamental purpose and that are an expression of bad taste or vulgarity. Reference: Gillo Dorfles, Kitsch: An anthology of bad taste, London: Studio Vista Limited, 1970. 1971, 16mm transferred to video, 5'24”, b&w, Dutch spoken, English subtitles. 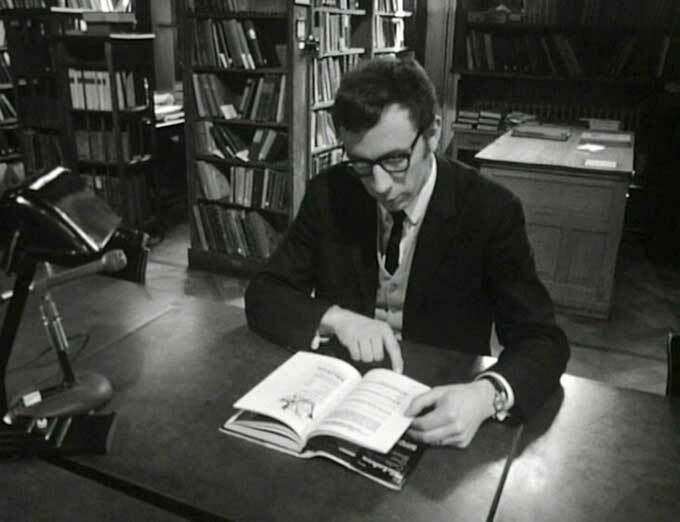 In this short documentary film, Georges Adé (1936-1992), is sitting in the Antwerp municipal library, presents the book Culture is our business (1970) by the Canadian philosopher and communication theorist Marshall McLuhan (1911-1980). Adé shows reproductions of advertisements from the book and reads extracts from it. Then, while continuing talking about the book, he walks down a road filled with advertising hoardings. After introducing McLuhan with his earlier acclaimed books such as The Gutenberg Galaxy: The Making of Typographic Man (1962), Understanding Media: The Extensions of Man (1964) and The Medium is the Massage: An Inventory of Effects (1967, co-written with Quentin Fiore, °1920), Adé focuses on Culture is our business. Through humour and satire, McLuhan explores the consumer culture that sprout up in the Sixties and he analyses the paradoxes, the underlying meanings and propaganda of the advertisements. Although they recognize the relevance of McLuhan’s position, Cornelis and Adé emphasize that three elements are lacking in the book. First, they consider that McLuhan does not get involved enough with the issue of ethics, because the point is not to evaluate what is good or evil, but the point is to know what we actually want. 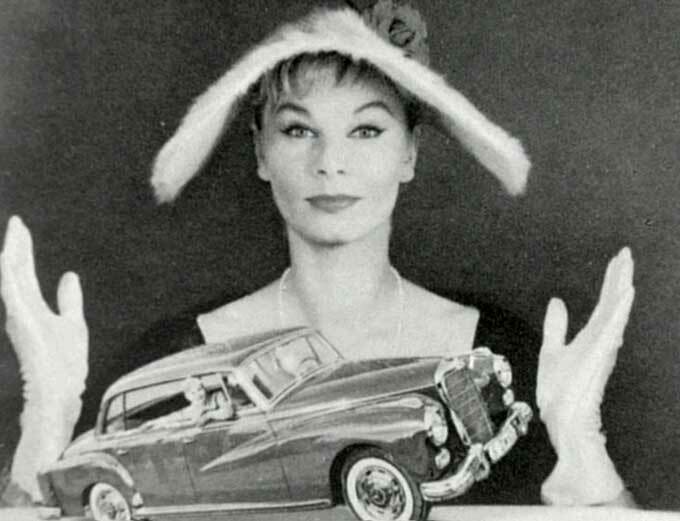 Then, they claim that the Canadian theorist ignores the economic function of advertisements. Finally, they estimate that the book addresses the older generation because the younger generation relates to this subject in a completely different way. Reference: Marshall McLuhan, Culture Is Our Business, Oregon: Wipf & Stock, 2014. 1997, video, 42'39”, colour, Dutch spoken, English subtitles. De kleuren van de geest (The colours of the mind) was broadcasted on October 28th 1997. It is the last Cornelis' programme for the BRT. It's a fresh and penetrating visual essay about trance (music), iconography and disembodiment along our history. Cornelis wanders through epochs and regions, cultures and artistic practices. He refers to for example old prints with horrifying spiders and tunes as antidote to their bites, as well as to the European paintings of the 15th and the 16th century that depict Moorish dances, the Southern Italian Tarantella or the Northern African Gnawa music. In some of these representations, colours depict psychological problems – such as possession, stress, depression, and anxiety – that must be dispelled. In other instances, colours are codes for mental states: for instance, white stands for the punishing right-mindedness, green for the pure belief and the mystical wanderers, red for rage. Through the music, performers of folk dances are able to experience all these mental states in their souls, minds or bodies, without having to resort to reason. Their rural bodies enter a cosmic network. Is there a link between contemporary electronic dance music and the various kinds of healing rituals that are inherent to traditional folk dances? In the Nineties, Trance music – the term “trance” refers in this instance to a state of hypnotism and heightened consciousness - was a genre of electronic music that arose as an international phenomenon. It seems that attempts are made to breathe new life into the ancient art of healing making use of innovative technological equipment. All in all, the ancient European dances, the still active North-African esoteric systems and the recent techno rituals are expressions of a single desire: being possessed. In some way, today dancing becomes again a way to abandon the body and to link the mind to a ‘Greater Unity’. Reference: Paul Vandenbroeck, De Kleuren van de Geest: Dans en Trance in Afro-Europese tradities, Ghent: Snoeck-Ducaju & Zoon, 1997. 1974, 35mm transferred to video, 22'26”, colour, sound. The Royal Greenhouses of Laeken (Brussels) consist of a huge complex of several heated dome-shaped greenhouses in iron and glass that are connected by glass-roofed galleries in the park where the neo-classical Royal Palace of Laeken is located. Together, these monumental pavilions, glass domes and long galleries make up one of the showpieces of the golden age of Belgian architecture during the reign of king Leopold II (1865-1909). The complex was designed by the Belgian architect Alphonse Balat (1818-1895) and, thanks to the use of new materials and the introduction of decorative motifs, it represents a first step towards Art Nouveau that was further developed by Victor Horta (1861-1947) who served as an apprentice to Balat. To a certain extent, the film De Koninklijke serres van Laken 1877-1902 by Jef Cornelis seems to apply the Balat's motto: "Simplify, then simplify, always simplify and when you will have simplified everything, you won't have simplified enough yet". 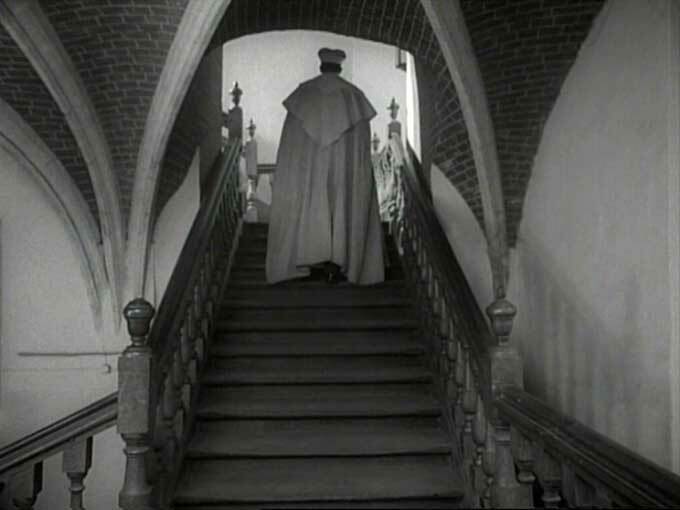 In fact, Cornelis seems to come back to the cinematic style of his early architectural trilogy (Alden Biezen, 1964; Abdij van Park Heverlee, 1964; Plus d'Honneur que d'Honneurs, 1965). The camera slowly examines the silhouettes of the Royal Greenhouses while the composition and musical performance by André Laporte (°1931) – who also worked at BRT from 1979 to 1989, first as a music producer, then as a programme coordinator, becoming in 1989 director of production for the BRT Philharmonic Orchestra – are both minimal and concrete. Finally, together with the screenwriter Geert Bekaert (°1928), Cornelis presents the Greenhouses as an ecosystem of flora quietly growing rampant, a perfectly balanced aggregate of concrete, glass and metal, which would become a source of inspiration for a new architectural movement. 1984, video, 71'34”, colour, Dutch spoken, English subtitles. In the series Ijsbreker (Icebreaker, 1983-1984), Jef Cornelis used satellite links—a very advanced technology at that time— as a way to speed up switching between various ideas and discussions. This ended up in confusion: the conversations were taking place at different locations, were getting completely out of hand and left the viewers wondering what was going on. Ijsbreker 16: Lichamen – toonbeelden (Icebreaker 16: Bodies – paragons) stands out among the various episodes of the series. The topic of “body culture” is explored within an experimental television format. During the live broadcast three different sites are connected with radio links: a centre for bodybuilding, a photo shoot for a fashion magazine, and the studio in Brussels, where the Belgian philosopher Rit Van den Bergh (°1950) asks critical questions about culture, which she feels is lapsing into narcissism and imitational behaviour. The programme is conceived as a comparative study of a number of aspects of contemporary body culture, and focuses in particular on the opposition between the “decorative” world of fashion models and the “muscular” world of bodybuilders. It all quickly turns into an unreal clash between various subjective positions and mind frames. 1986, video, 58'56”, colour, Dutch, English, French and German spoken, English subtitles. 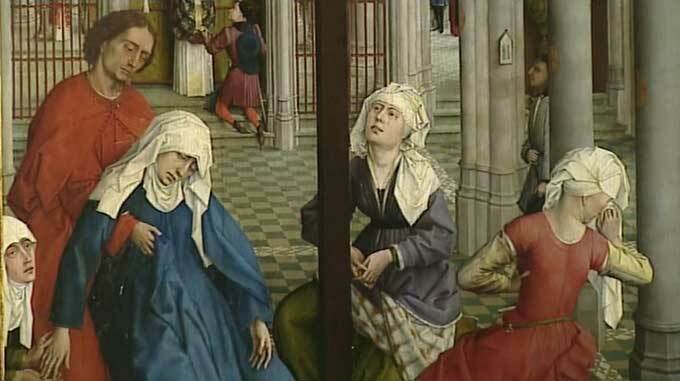 Originally broadcast on March 16th 1986, the programme Beeldende kunst in België, 1986 (Visual Art in Belgium, 1986) is a recording of a panel discussion that took place in the Royal Museum of Fine Arts in Antwerp. 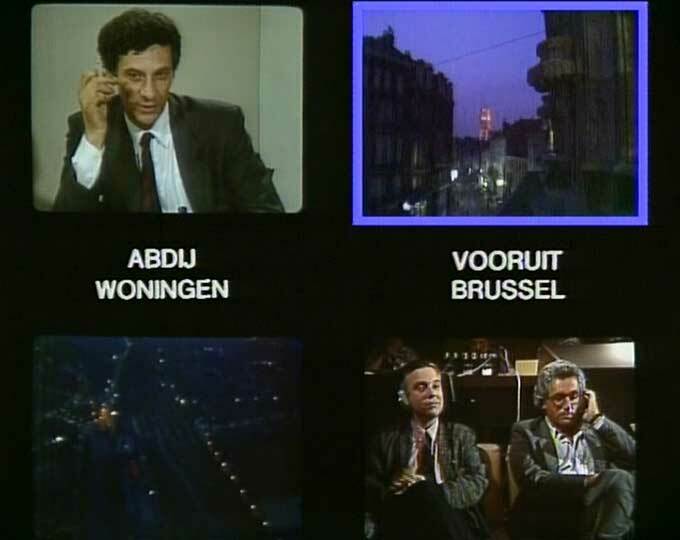 To a certain extent, the programme is a prequel to De langste dag (1986), a live broadcast of more than 6 hours that dissected the opening of two - now legendary - art manifestations, Initiatief ’86 and Chambres d’amis in Ghent. Chris Dercon (°1958), who at the time was a fix collaborator of Cornelis, leads an international panel in which renowned art curators and critics participate — such as Barry Barker (°1948), Bernard Blistène (°1955), Laurent Busine (°1952), Bice Curiger (°1948), Jan Debbaut (°1949), Frans Haks (1938-2006), Jan Hoet (1936-2014), Kasper König (°1943), Bernard Marcelis (°1953), Jean-Hubert Martin (°1944) and Wim Van Mulders (°1946). As all of them are involved to a different extent with Belgian art, they are asked to discuss and answer an apparently fundamental question: “What is the significance of the phenomenon of visual arts in Belgium in 1986?” But the story turns to be more complicated. Dercon asks the panel members to put the new interest in Belgian art in a broader context and to evaluate the promotional tools that the regional governments have set up. Did curators and critics change their view of Belgian art? Or is it due to a new approach of the Belgian artistic scene? Or is it a matter of the quality of the works of art? Each panel member provides his own view and story about the thriving of the Belgian art at the international art scene. 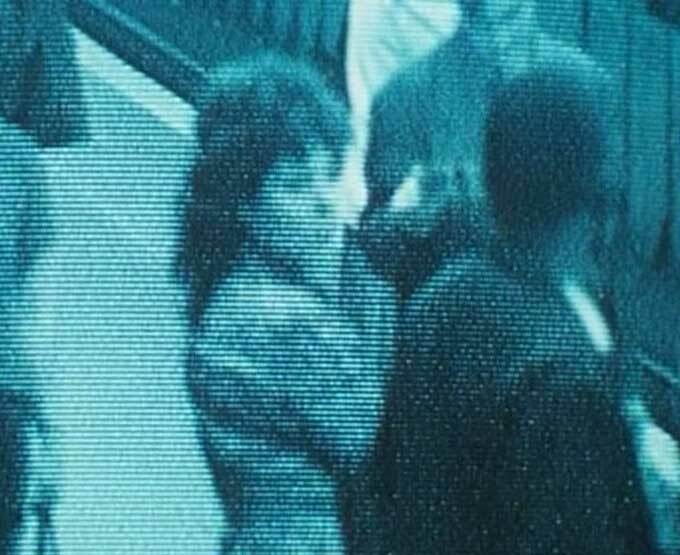 1989, video, 57'36”, colour, Dutch spoken, English subtitles. The series Container (1989) is a truly legendary television programme in which Cornelis formally embarked on a new road. The programme was based on an extremely simple, fixed concept: its maker gathered a number of young thinkers together in a small container for an uninterrupted debate. The last episode of the series is about exoticism. In the panel discussion, the philosopher Lieven De Cauter (°1959), the historian Eddy Stols (°1938), the anthropologist Paul Vandenbroeck (°1953) and the philosopher Bart Verschaffel (°1956) discuss the predominantly Western fascination with exotic cultures. Exoticism often gets in the way of an objective understanding of other cultures and is also considered an intellectually incorrect term. It confirms and reproduces deep-rooted stereotypes and representations, it creates dream worlds that influence our perspective, making us see things the way we want to see them. Somehow, we can consider exoticism as intercultural counterfeiting. Is exoticism a projection mechanism for repressed fears and longings? Might exotic objects be perceived both as documents of barbarism and documents of culture? Are exoticism and racism branches that grow on the same tree? Is exoticism at the root of its own caricature? Is it fundamentally possible to move beyond exoticism? These are the questions that the panel members in the Container try to unravel. 1993, video, 58'14”, colour and b&w, Dutch, English and French spoken, English subtitles. In 1932 Stan Laurel (1890-1965) and Oliver Hardy (1892-1957) shot The Music Box, a remake of their silent movie Hats Off (1927). The location in both films is the same. The only difference is that, in their first film, the movers have to drag up an automatic washing machine while in The Music Box they deliver a piano at the home of a woman, only to see it smashed to pieces by her husband. This remake becomes an inspiration and an alibi for a TV-programme that investigates the theme of bourgeois mentality – or more precisely, the bourgeois longing have a piano in the home - and the interior in the art of Henri De Braekeleer (1840-1888), James Ensor (1860-1949), René Magritte (1898-1967) and Jan Vercruysse (°1948). Images of works of art alternate with fragments from conversations with various guests, illustrating the point director Jef Cornelis and screenwriter Bart Verschaffel (°1956) try to make. A piano is both a rather imposing instrument and a piece of furniture: it is used here as a symbol of the difficult and uncertain position of art in our society. Art is both what bourgeois culture wants and what it doesn’t want. It longs for art, and at the same time art is considered to be dangerous, something to be kept outside. The four Belgian artists portrayed have all, in their own way, accepted the middle-class way of life and used it as a basic ingredient for their images and their art formats that can no longer suit this middle-class mentality. 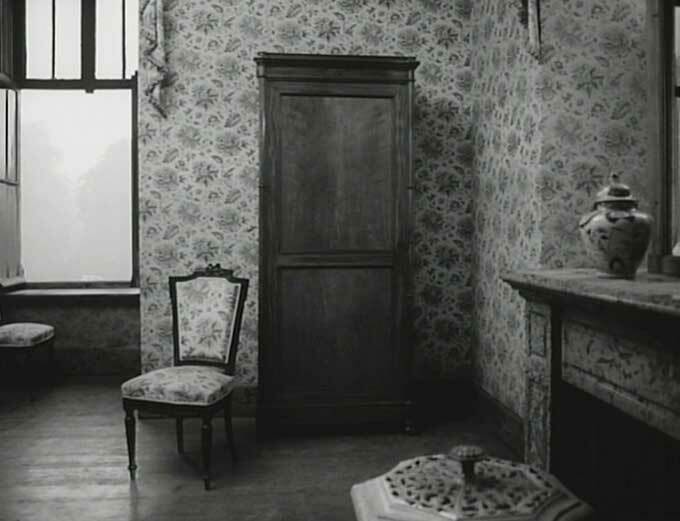 They set out from the apparent quiet of bourgeois life—the protected “inside” – but they activate the inherent, hidden tensions and conflicts, “blowing up” the interior. 1969, video, 63'28”, b&w, English spoken. The work of the American artist James Lee Byars (1932-1997) resists any strict definition or categorisation. He was greatly influenced by his many travels, as well as by for example Zen philosophy and Noh theatre, which he discovered during the years he spent in Japan. While his oeuvre relates to conceptual, minimal and performance art, it is not limited to any of these genres. Often there is a simple idea underlying his work, which appears in a wide variety of forms, such as installations, sculptures and performances. They are made of an equally wide variety of materials, such as glass, paper, silk or gold. In 1969, Byars conceived a work called The World Question Center, which consisted of an attempt to collect questions from some of the ‘100 most brilliant minds’ of the time. On November 28th 1968, this performance was broadcast live on BRT. The artist asked almost the same question – namely “Could you present us a question that you feel is pertinent with regard to the evolution of your own knowledge?” - to a number of intellectuals, artists and scientists. A circle of men and women wearing a special dress designed by the artist surrounded him on set. His various interlocutors were either present in the room or contacted over the phone during the broadcast. The programme was presumably recorded simultaneously on one 2” tape and on two 1” Philips tapes (VPL 8 in. IC 1800 ft.). In 2001 one of the original 1” tapes from the collection of Herman Daled was digitised and restored by Argos and Packed - Centre of Expertise in Digital Heritage (Brussels) in collaboration with AV Works (Haarlem). 1970, 16mm transferred to video, 4'26”, b&w, Dutch spoken, English subtitles. The Belgian artist Philippe van Snick (°1946) uses paintings, installations and sculptures to explore, analyse and create spaces. Using minimal visual elements, he relates his works to the space where they are shown and inspires the viewer to have a personal and individual experience of his works. In 1969 Van Snick showed his work at the 6ème Biennale des Jeunes (6th Biennial of young artists) in Paris. Since then, his work has been on view worldwide. In this short reportage, Cornelis documents the assembly of a twelve-piece construction (Stall-ology) at the Grote Markt in Roeselare (Belgium). While the work is being installed, the reporter Georges Adé (1936-1992) interviews Van Snick, who explains his concept and the logic behind the installation. With Stall-Ology, Van Snick did not want to involve the public, but rather enhance their mental participation. Unfortunately, as the voice-over comments on the initiative, the public did not seem to be very informed or aware of its role - people inevitably misinterpreted the artist’s intention. 1971, 16mm transferred to video, 3'45”, b&w, Dutch spoken, English subtitles. Since the early Sixties, the autodidact Dutch conceptual artist Stanley Brouwn (°1935) is internationally known for his practice based on the acts of displacement, walking and measuring. For instance, he once announced that his solo exhibition was taking place in every shoe shop in Amsterdam. Or, if we look at his way to depict a man, we realise that the portrait consists of a ruler of the same size as the man simply laying on a table. Then again, in 1961, Brouwn asked random passers-by how to get from one street to another: when the passers-by had drawn a sketch, the artist stamped the caption “this way brouwn” on the piece of paper. Despite the minimalism of his oeuvre, these abstractions confront us with physical data and reality. Brouwn’s works force us visualise abstract measurements in three dimensions, to reinterpret trajectories and cardinal coordinates. Invited for a solo exhibition in MTL Gallery in Brussels, Brouwn's proposal consisted of counting the exact number of footsteps he was doing every day during one week in Brussels. How could Cornelis report on an exhibition presenting this kind of minimal, almost undetectable, work? How could he explain this artistic approach to the public? Cornelis therefore gave the camera to Stanley Brouwn, who, carrying it on his shoulder, records the act of walking ten times six steps from the MTL Gallery to downtown. 1971, 16mm transferred to video, 5'40”, b&w, Dutch and French spoken, English subtitles. 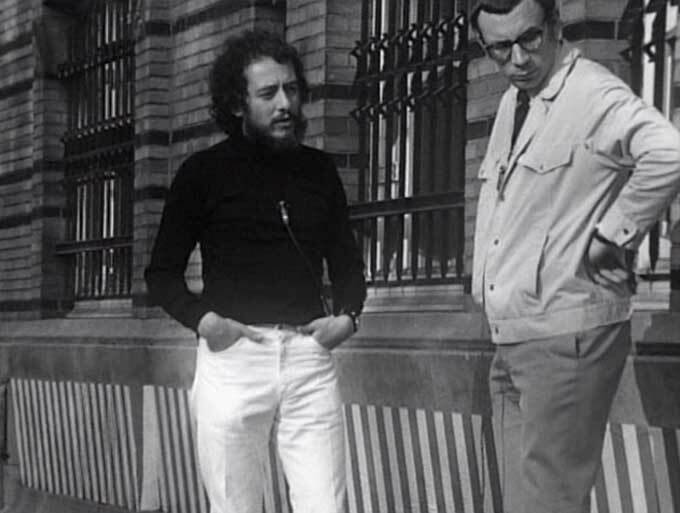 Georges Adé (1936-1992) interviews the French artist Daniel Buren (°1938) at the occasion of his solo exhibition – simply entitled Buren (11 May - 5 June, 1971) – in front of the Wide White Space Gallery in Antwerp. As in his previous show with the same title (17 January - 6 February, 1969), Buren applied his renowned motif, namely the alternation of white and coloured 8.7cm wide stripes, inside and outside the gallery. In these site-specific installations, Buren continues his experiments and his criticism of the exhibition space, but they also challenge the way the public relates to the place. In the film, fragments of the interview alternate with views of the exhibition. Adé assumes the part of the man or woman in the street and ventures to ask simple, but sharp questions that explore the foundation of Buren’s aesthetics and conceptual framework. The French artist explains his practice, his position regarding the art market, the way his work relates to the environment - outside and inside the gallery – and how the public should experience his installation. References: Koen Brams & Dirk Pültau, The Clandestine in the work of Jef Cornelis, Brussels & Maastricht: Argos, De Witte Raaf, Marcelum Boxtareos & Jan Van Eyck Academie, 2009. Yves Aupetitallot (ed. ), Jef Cornelis - Documenta 5, Paris: bdv, 2012. Yves Aupetitallot (ed. ), Jef Cornelis - 13th Biennale de Paris 1985, Paris: bdv, 2014. 1972, 16mm transferred to video, 5'06”, b&w, Dutch and French spoken, English subtitles. On September 27th 1968, the Belgian poet, filmmaker and artist Marcel Broodthaers (1924 – 1976) opened his fictional Musée d’Art Moderne – Département des Aigles, Section XIXème Siècle (Museum of Modern Art, Eagles Department, Section of the 19th Century) in his house in Brussels, Rue de la Pépinière. The museum then appeared in various guises and at a variety of venues till 1972, when Broodthaers permanently closed it after opening his Galerie du XXème Siècle (Gallery of the 20th Century) against the backdrop of documenta V (1 September – 8 October, 1972) in Kassel. Cornelis first introduces the artist’s practice and preoccupations, then Broodthaers guides us through his exhibition, discussing with the reporter Georges Adé what turns an object into art — or why it does not turn into art. Reference: Yves Aupetitallot (ed. ), Jef Cornelis - Documenta 5, Paris: bdv, 2012. 1972, 16mm transferred to video, 4'56”, b&w, French spoken, English subtitles. The Belgian artist Jacques Charlier (°1939) worked for several years at the Provincial Technical Service (STP) in Liège. This experience influenced his artistic practice as he started to decontextualize STP photographs and documents – for example of images of the town, roads, drain pipes and water supply schemes - and presented them in different exhibition projects. Among them, the exhibitions Paysages professionels (Professional Landscapes) was first shown in the MTL Gallery in Brussels in 1970, then in the Neue Galerie in Aachen in 1971; and the exhibition Documents du STP (Documents of the STP) took place in the Royal Museum of Fine Arts in Antwerp in 1972. Charlier's unconventional artworks criticise – both conceptually and aesthetically – Pop Art and Nouveau Réalisme. These movements called for a return to reality and found inspiration in consumerism, advertisements, comics, the life of television and cinema stars; by contrast, Charlier looked at his own reality and showed it as it is. This gesture radically undermined appropriation as an artistic practice and signature. 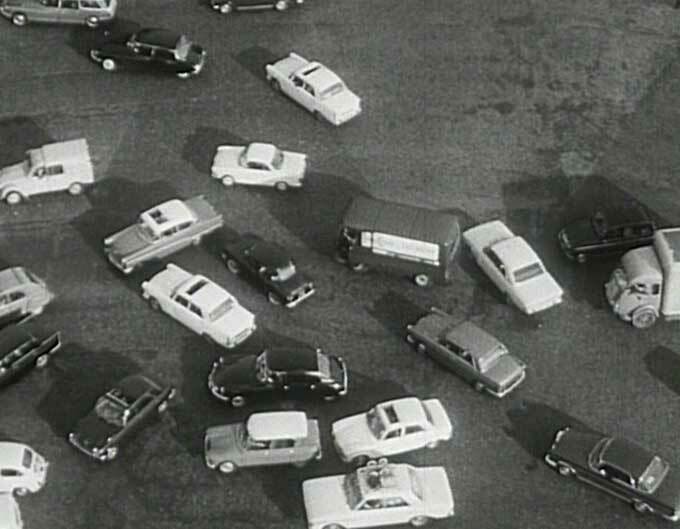 In Cornelis’ film, we first notice the exit of an office building and then Charlier explaining why this situation is important for him and what his position as an artist is. Or, as he states: “I make myself a sort of intermediary between things that really happen and the world of art.” All in all, his mediation shows people what they can understand; Charlier considers this as an important document because in our contemporary society, leaving a factory or an office is a common and normal action. 1986, 16mm transferred to video, 18'16”, colour, Dutch and French spoken, English subtitles. 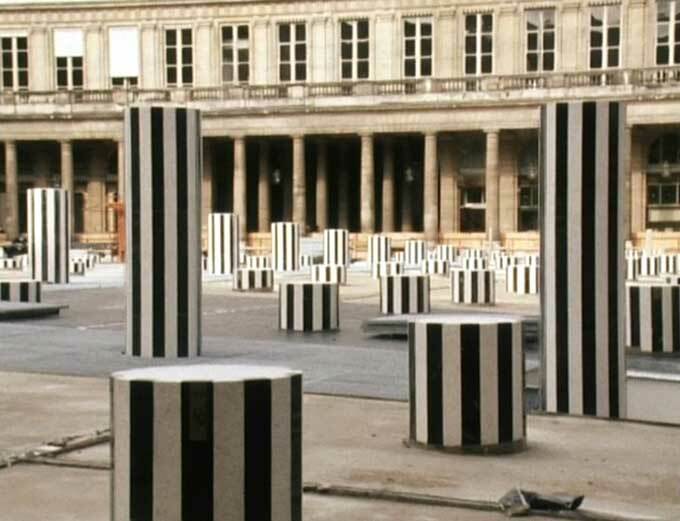 For the installation Les Deux Plateaux (The Two Levels, 1985-1986), Daniel Buren (°1938) placed a grid of 260 black and white striped cylinders of different heights in the elegant courtyard of the Palais Royal in Paris. The installation, usually known today as the Buren's Columns, turns the venue in a sort of chessboard, , as well as establishing a dialectic between the ground level of the courtyard and the level underneath, and thanks to the lighting the installation can be perceived differently during day and night. This film alternates views of the installation Les Deux Plateaux and an interview with Daniel Buren: the French conceptual artist is very precise about how he relates to his site-specific work. First he analyses the general constraints of the site, then he formulates a response to it: the 260 cylinders provide a sort of visual echo to the columns surrounding the courtyard and create a three-dimensional space without obscuring the existing architecture. Or, as he puts it, “the location (outside or inside) where a work is seen is its frame (its boundary)". Ironically, the aesthetic analysis of Buren’s intervention at the site was overshadowed by a lawsuit and mounting public passion—from the announcement of Buren’s project in July 1985 till the conclusion of the trial in December 1992, there were infinite discussions about the work. It became a battlefield between local and national authorities, it occasioned harsh arguments between left-wing and right-wing politicians, it led to debate in the Council of State and the French Parliament, and as mention above, it also led to a lawsuit in a Paris Court. In 1986 alone Les Deux Plateaux was the subject of 225 articles and 45 different reviews. 1990, video, 20'40”, colour and b&w, Dutch spoken, English subtitles. The Belgian artist Jan Vercruysse (°1948) is best known for his photographic self-portraits and his sculptures. His oeuvre has been influenced by his previous practice, namely poetry, and by the theatre, but often it enigmatically refers to masterpieces and artistic movements of the past. Vercruysse considers himself to be “the last of the Flemish Primitives”. He goes on to discuss the rational sensitivity of the artist as a deliberately chosen destiny, and the compelling inner attitude that he describes as “aloofness”. In his view, art should not try to point out the truth, but rather circle around it, create gaps and map out alternative paths. To a certain extent, this is the reason why art differs from philosophy: the latter is looking for answers to open questions, while art doesn’t have to look for an answer. Art is like a trajectory that is not aiming at direct communication, but instead is determined by certain ways of masking. But what is a mask and what isn’t? During the interview, entirely shot in black-and-white, images of the conversation alternate with illustrations of paintings, sculptures and pictures by Vercruysse. 1996, video, 57'05”, colour, Dutch and French spoken, English subtitles. “C’est moy que je peins” wrote Montaigne to make it clear to the reader that he wrote his Essays in order to be seen in his “simple, natural, everyday fashion, without striving or artifice.” Writing in this instance turns out to be a basic tool for introspection and an attempt to make manifest the writer’s subjectivity. Can we assess the self of the modern artists in the light of their oeuvres or their statements? What is the place of the artist since times became “modern” at the beginning of the 19th century? What is the artist’s part in power, money, fame, how does he or she relate to the public, the “Great Art” of the past and future? Why do artists produce art, and how do they identify themselves with “making art”? Based on a scenario by Bart Verschaffel, C’EST MOY QUE JE PEINS, Wie alleen staat heeft recht van spreken (It is my own self that I am painting, he who stands alone has the right to speak up) puts in perspective the positions of two Belgian artists: the contemporary artist Thierry de Cordier (°1954) and the 19th-century pioneer Antoine Wiertz (1806-1865). In the first part of the film about Thierry de Cordier, the “imaginary (living) space” of art and the artist is presented, i.e. from de Cordier’s view. We are introduced to de Cordier’s plastic and literary work and its interpretation. The artist speaks about his art and about his view of the world as the foundation of his art. In the second part, artist Antoine Wiertz and his work are discussed. His thoughts (as found in his own writings) on the importance of art, fame and future, in which “mute, motionless resemblances” in painting will be replaced by “something more serious, closer to life”, are read by the Belgian actor Damiaan de Schrijver (°1958). What Jef Cornelis considers the most important principle behind his work is that it adds something worth seeing to what we look at. At the core of his effort lies a tumultuous relationship between visual art and television, a medium for which he directed films between 1964 and 1998. Cornelis' oeuvre was made possible by television broadcasting, but the relationship has always been an ambivalent one. Although he made over a hundred films, including films on modern art, architecture and the Flemish landscape, Cornelis' work is primarily a dissection of television itself, the very medium in which he worked. 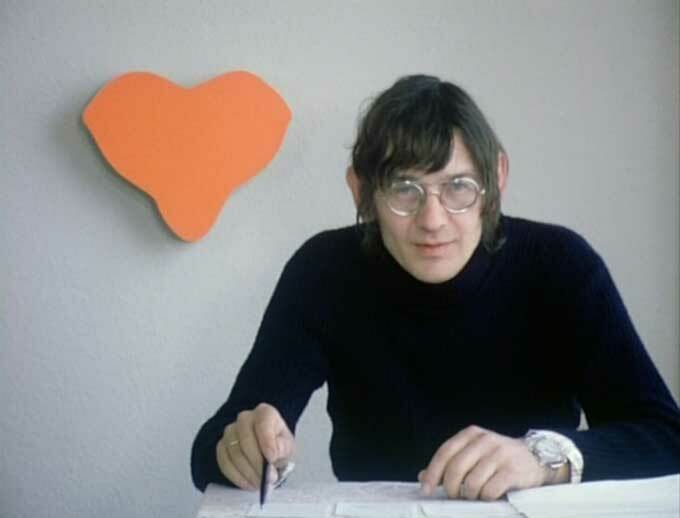 In 1963, after studying set design and film direction at the Netherlands' Film Academy in Amsterdam, Jef Cornelis began his career as a director for the Arts Division of BRT Television in Flanders, which would later become VRT broadcasting. From the beginning, there was a 'friction', a 'misunderstanding'. 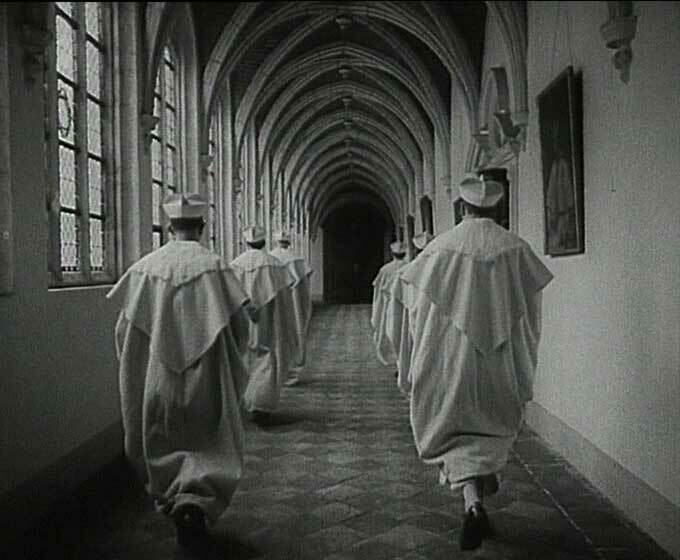 In 1964, director Cornelis claimed that Flemish image-makers were still operating at the 'parish hall' level: amateur amusement provided by ignorant producers for underdeveloped viewers. At that time, there were few people in television production who were in fact familiar with or able to handle the language of television. Jef Cornelis, however, together with Alain Resnais, Jean-Luc Godard and Alexandre Astruc, belonged to what was then a relatively new tradition, but one which was already gaining international recognition. Television basically sets out to chat, entertain and amuse the majority. Beyond this, it is by definition a voice that announces and explains what we are about to see. Jef Cornelis perceives himself as a parasite, one who uses that system to do his own work: his films lie beyond these co-ordinates. Cornelis worked within a broadcasting system that paid great heed to 'the average man' and to viewer statistics, and it was this restrictive character of the medium that formed the cornerstone of Cornelis' work. Only within the reformist system of a mass medium could he make films that could be termed 'parasitic' or 'marginal'. Although Cornelis' extensive body of work falls into three general categories - his favourite themes of the architecture and landscape of Flanders, the fine arts and the medium of television - his work interwove varying focal points, principles and techniques. To a lesser degree, Cornelis' films also cover literature, opera and music. Through the years, an outspoken idealist evolved into a pure-blooded television artist. For his early films on architecture, Cornelis joined forces with scenario writer Geert Bekaert. 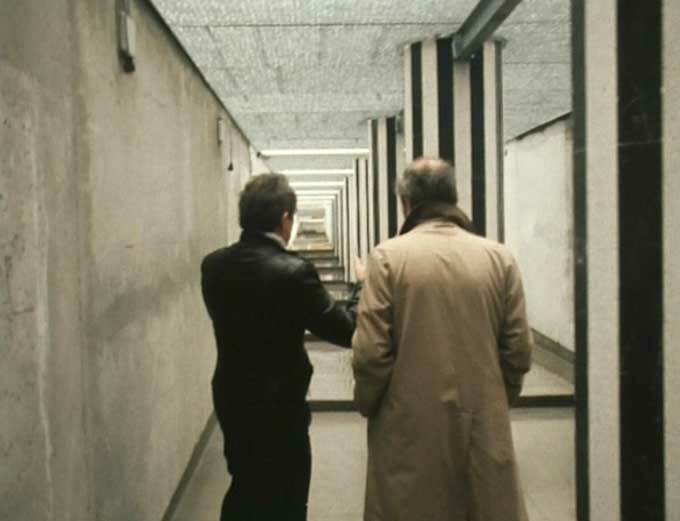 In works such as Home Sweet Home (1968) or Bouwen in België (Building in Belgium, 1971), his direction took a critical stance against the framework within which it operated. He filmed the Flemish landscape with great love, investing remarkable efforts to achieve a worthy visual and cinematographic result. Cornelis' films were neither fictional nor documentary reports, but aimed more for a form of essay. His camera direction in particular can be described as exploring or feeling its way, more than actually directing or presenting conclusions. His earliest work showed the young Cornelis as an idealist, ironic in his handling of public domain (his point of reference for Flemish architecture was a dovecote), and his commentaries were those of a man out to improve the world. His first years at work also revealed Cornelis' engagement with the fine arts. In the late 1960s, the young director made short films on Documenta 4 (1968), Sonsbeek 86 (1986) and other art events for programmes on contemporary art. In dialogue with who were then, young but established artists, such as Joseph Beuys or Christo, Cornelis played the devil's advocate, donning the shoes of the uncomprehending 'homme moyen'. Brimming with honesty and veiled irony, Cornelis made no bones about interrogating artists on the whys and wherefores of their actions. In contrast to this pretended adversity, Cornelis was personally very involved in contemporary art. He was fascinated by the activities of artists such as Broodthaers and Panamarenko , and in addition to filming unique of portraits of them, by the late 1960s, his engagement had extended well beyond the camera. In 1969, Cornelis was one of the founders of A379089, an alternative art centre in Antwerp that declared itself an 'anti-museum' or 'anti-gallery'. Together with A379089's co-ordinator, Casper König, Cornelis organised presentations with Carl André, Marcel Broodthaers, Jörg Immendorf, La Monte Young and Panamarenko. Cornelis' association with art has in fact been just as ambivalent as his relationship with the medium of television; there have been great leaps between intense love and hate. Cornelis set his contemporary art activities aside in 1972, only to pick them up again later, in the 1980s.In the 1970s, Cornelis and Bekaert had meanwhile discovered the helicopter as a technically useful tool for the camera. 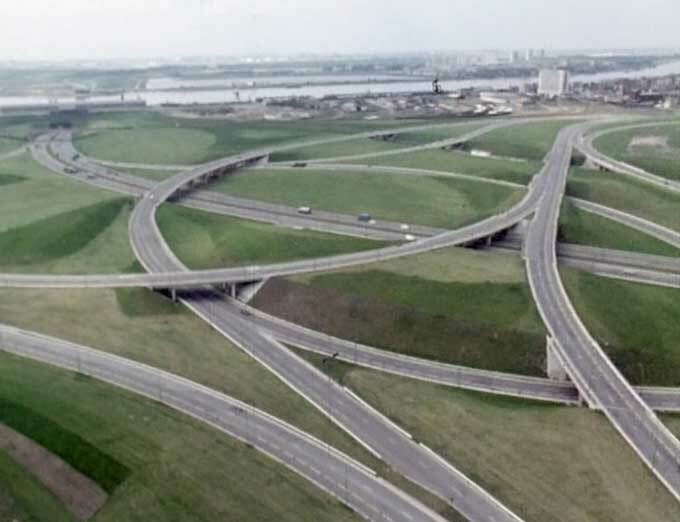 This resulted in a series of films, with Vlaanderen in Vogelvlucht (A bird's eye view of Flanders, 1976) and Rijksweg N1 (State Highway 1, 1978) amongst the most memorable, which find the director and writer flying over the Flemish landscape. From the perspective of flight, Cornelis' odes to these landscapes, to ordinary people and their everyday lives, are supported by texts and interspersed with numbers. In the late 1970s, at the time that he was making his 'helicopter films', public television was engaged in its first conflict between 'numbers of viewers' and the demand for quality television. 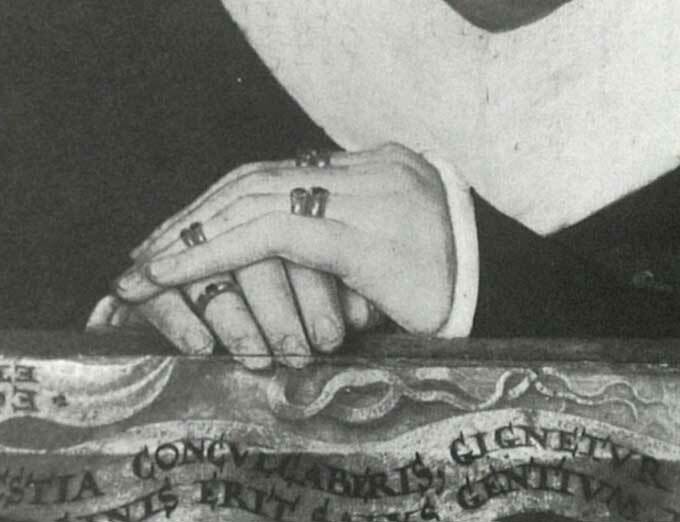 For Cornelis, the circumstances provided an incentive to expand his horizons. He began dealing with television at its most basic level, as a means of communication and a vehicle for conveying information. As early as the beginning of the 1980s, Cornelis was already being labelled a 'television artist'. His broadcasts were about communication, or the lack thereof. The 'subject' of the programme was simply a supporting layer, the vehicle for his analyses of larger-level communications. By this time, Cornelis’ focus was the talk show format, and he was exceptionally creative in applying its imperatives. For his IJsbreker (Icebreaker, 1983-1984) programme, he used satellite links, very advanced technology for the period. What were then the early stages of modern prying techniques, were for Cornelis a module to speed up his switching between various ideas and discussions. The result was confusion: the conversations, taking place at different locations, got completely out of hand and left the viewer wondering what was going on. 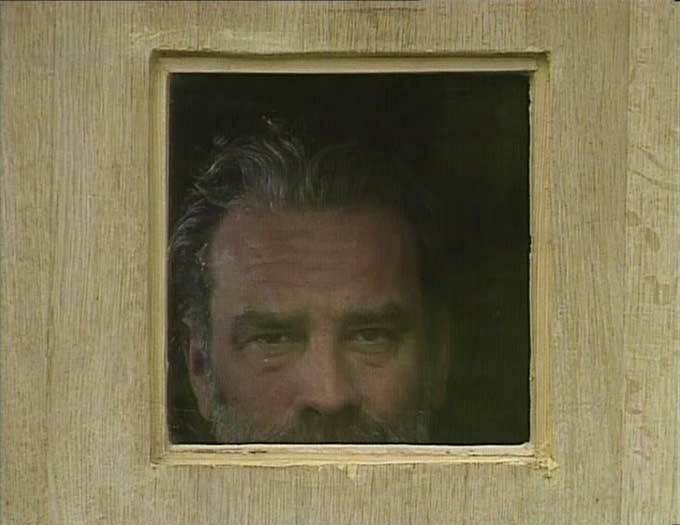 With Container (1989) - a truly legendary television programme, which a major smear campaign managed to take off the air after the first broadcast - Cornelis formally embarked on a new road. The programme was based on an extremely simple, unvaried concept: its maker herded a number of young thinkers together in a small container, in order to hold an uninterrupted conversation. Cornelis again managed to create confusion, and not only because his guests interrupt one another and all talk at once about matters far removed from the lives of the 'average man'. The visible layer of the subject under discussion once again had little relevance. Container is first and foremost about exposing a medium. Cornelis demonstrates 'misunderstandings' that generally are not, or may not be, dealt with on television. The stammering moderator, searching about for a new question to ask, the nervous guest fiddling with his pen or the persistent babble of a speaker in mid-shot: in Container, Cornelis does not mask the shortcomings of his medium, but isolates and emphasises them. It is self-evident that given the television norm, such a recalcitrant programme would not be destined for longevity. As a whole, Cornelis' later programmes stand out as a solid resistance to the standard language of his medium, stranded as it was in pure amusement. His work opposed the conditions imposed by that medium and mercilessly poked holes in the illusions it generated. Around 1985, Cornelis was once again engaged in the fine arts, aware that the artists whom he had interviewed in the 1960s and 1970s were now active on a wider, international stage. Cornelis' renewed interest led him, amongst other things, to curate exhibitions for the Witte de With Center for Contemporary Art in Rotterdam, where in 1995, he presented an exhibition on the correlations between cinema and the fine arts. As a whole, the work of Jef Cornelis comprises a headstrong, unique chronicle of modern and contemporary art since 1960, a history of art that strove unanimously for change, and whose social attitude has significantly contributed to circumstances we experience today. Cornelis' documentaries have moreover lost none of their relevancy. They are prime examples of analytical perception, reaching far beyond the standard parameters of journalism. Cornelis looks beyond the historical information and the nostalgic anecdote in order to present effective essentials. It consequently makes no sense to consider Cornelis' filmmaking simply in terms of the television medium. It is a body of work that belongs amongst the most valuable cinematography that Flanders has ever produced. KUNST ALS KRITIEK. WANNEER IS KUNST GEEN KRITIEK? KUNST ALS KRITIEK. WANNEER IS KUNST WEL KRITIEK? -	3. "als jullie vriendelijk buitengaan dan is dat bij ons ook over"
Georges Adé & Yves Aupetitallot, Jef Cornelis 1964 - 1990, Saint-Etienne: Espace Art Contemporain & Maison de la culture et de la Communication de Saint-Etienne, 1991. Umbro Apollonio (ed. ), Catalogo della 33. 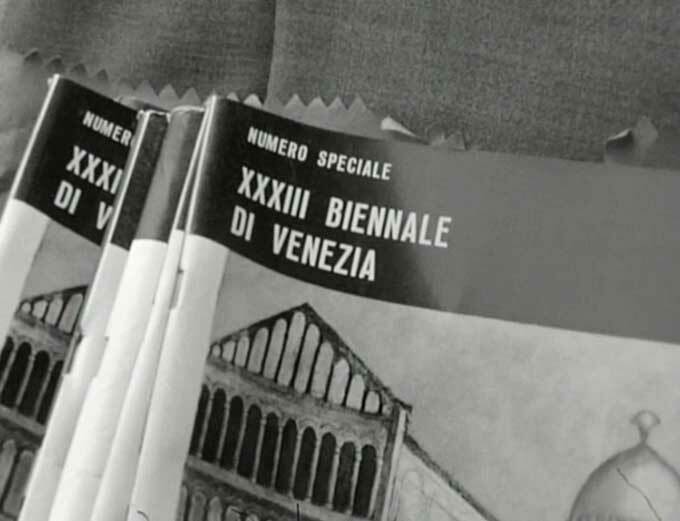 Esposizione biennale internazionale d’arte Venezia : [Venezia 18 giugno-16 ottobre 1966], Venice: La Biennale di Venezia, 1966. Yves Aupetitallot (ed. ), Jef Cornelis - Documenta 4, Paris: bdv, 2012. Yves Aupetitallot (ed. ), Jef Cornelis - Summer of 1966, Paris: bdv, 2013. Yves Aupetitallot e.a. (eds. ), Wide White Space 1966–1976: Achter het museum / Derrière le musée, Düsseldorf: Richter Verlag, 1994. Bernard Blistène, e.a. (eds. ), A theater without theater, Barcelona:	Museu d'Art Contemporani de Barcelona - Fundaçâo de Arte Moderna e Contemporânea, Colecção Berardo, 2007. Saskia Bos & Jan Brand (eds. ), Sonsbeek 86: Internationale Beelden Tentoonstelling / International Sculpture Exhibition, Utrecht: Veen / Reflex, 1986. Koen Brams & Dirk Pültau, The Clandestine in the work of Jef Cornelis, Brussels & Maastricht: Argos, De Witte Raaf, Marcelum Boxtareos & Jan Van Eyck Academie, 2009. Chantal Charbonneau (ed. ), La Collection: tableau inaugural, Montréal: Musée d'art Contemporain, 1992. Jo Coucke e.a. (eds. ), Chambres d'Amis, Ghent: Museum van Hedendaagse Kunst, 1986. Liesbeth Decan & Hilde Van Gelder (eds. ), Philippe Van Snick: Dynamic Project, Brussels:	ASA Publishers,	2010. Tjeerd Deelstra e.a., De straat: Vorm van samenleven, Eindhoven: Stedelijk van Abbemuseum, 1972. Frie Depraetere, e.a. (eds. ), Artistic Flemish Audiovisual Productions 1970 - 1997 : A survey (deel 1) + A reader (deel 2), Brussels: Argos, 1997. Gillo Dorfles, Kitsch: An anthology of bad taste, London: Studio Vista Limited, 1970. Maria Gilissen (ed. 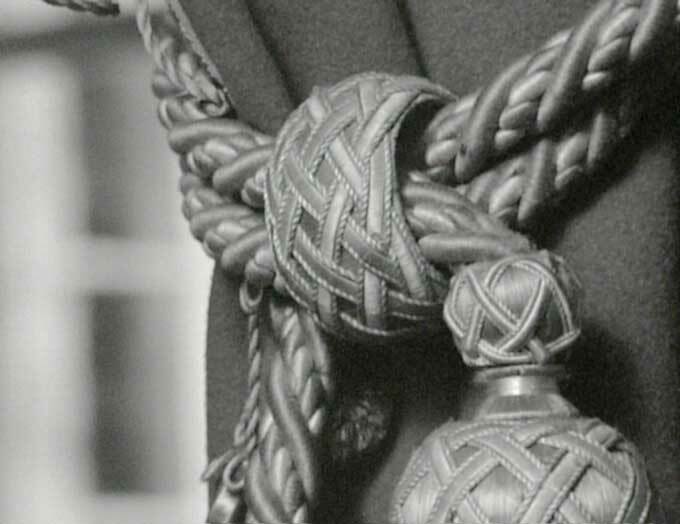 ), Marcel Broodthaers : En lisant la Lorelei, Genève:	Musée d'art moderne et contemporain, 1997. Anna Hakkens, Marcel Broodthaers par lui-même, Ghent: Ludion, 1998. Max Hollein & Klaus Ottmann (eds. ),	Life, Love, and Death: The Work of James Lee Byars, Ostfildern-Ruit: Hatje Cantz, 2004. Carl Jacobs, Pop Art in Belgium! Een/Un Coup de Foudre, Brussels: Mercatorfonds & ING, 2015. Hertha Leemans, Het Koninklijk Paleis: Bouwer & bewoners	ICC, Antwerp: Internationaal Cultureel Centrum, 1970. Jean Leering (ed. ), Three Blind Mice: De collecties Visser, Peeters, Becht, Eindhoven: Stedelijk van Abbemuseum, 1968. Enrico Lunghi (ed. ), Jacques Charlier: Art Forever, Luxembourg: Casino Luxembourg, 1999. Frank Lubbers, e.a. (eds. 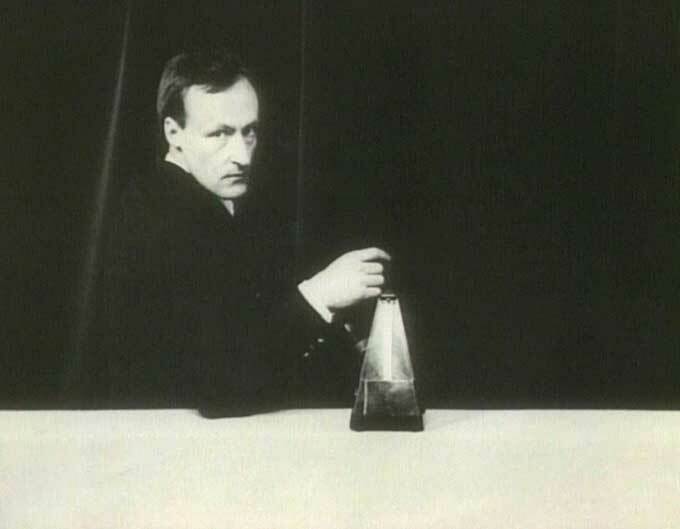 ),	Marcel Broodthaers : projections, Eindhoven: Van Abbemuseum, 1994. Marshall McLuhan, Culture Is Our Business, Oregon: Wipf & Stock, 2014. Pier Luigi Tazzi, Jan Vercruysse: Portraits of the Artist, Brussels & Ghent:	Yves Gevaert & Ludion, 1997. Luc Tuymans, e.a. (eds. ), The State of Things, Brussels & Tielt: Bozar & Lannoo,	2009. Geert van Beijeren & Coosje Kapteyn (eds. ), Sonsbeek 71: Sonsbeek buiten de perken, Arnhem: Sonsbeek Foundation, 1971. Paul Vandenbroeck, De Kleuren van de Geest: Dans en Trance in Afro-Europese tradities, Ghent: Snoeck-Ducaju & Zoon, 1997. Lore Van Hees (ed. ), Jan Vercruysse 2009, Leuven: Museum M, 2009. (Anon. ), 4. documenta. Kassel '68. Internationale Ausstellung 27. Juni bis 6. Oktober 1968. Katalog 1 & Katalog 2, Kassel: Documenta, 1968. (Anon. ), Jacques Charlier: Dans les règles de l'art, Brussels: Lebeer Hossmann, 1983. (Anon. ), Cultuurmanagement: De laatste ijsbreker, Brussels: BRT, 1984. (Anon. ), De kunst van het proberen : Creatieve documentaire in Vlaanderen, Brussels: Constant vzw, 1998. (Anon. ), Fascinerende Facetten van Vlaanderen : 58/98 Twee uur breed of twee uur lang, Tielt: Lannoo, 1998. (Anon. ), Marcel Broodthaers : Cinéma, Düsseldorf & Berlin: Kunsthalle, Nationalgalerie im Hamburger Bahnhof & Museum für Gegenwart, 1997. (Anon. 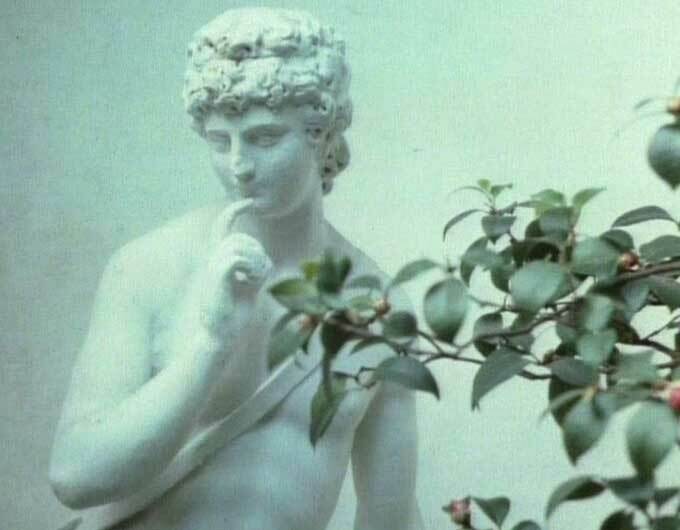 ), Nouvelle Biennale de Paris 1985,	Milan & Paris: Electa France, 1985. (Anon. ), Stanley Brouwn, Eindhoven & Barcelona: Van Abbemuseum & MACBA, 2005. Yves Aupetitallot, Jef Cornelis de bezoeker, in Marc Verminck, e.a. (eds. ), Het vel van Cambyses : I : Kunstkritieken tussen 'Van Nu En Straks' en Documenta IX, Leuven: Kritak, 1993. 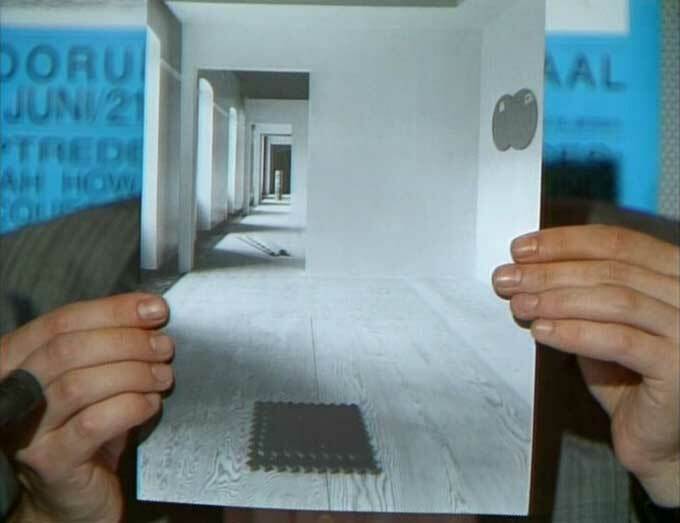 Geert Bekaert, Koolhaas presenteren, in De Witte Raaf, 117 (2005). Koen Brams, Het heimelijke in het werk van Jef Cornelis, in De Witte Raaf, 136 (2008). Koen Brams, ‘Morgen is alles anders’ — Over kunstonderwijs (in Vlaanderen, Nederland en Duitsland). Panelgesprek met Guillaume Bijl, Vaast Colson en Guido Goossens, gemodereerd door Koen Brams, in De Witte Raaf, 159 (2012). Koen Brams & Dirk Pültau, Als het weg is, kan je het niet meer terughalen : Interview met Jef Cornelis over de televisiefilms Mens en agglomeratie (1966), Waarover men niet spreekt (1968) en De straat (1972), in Open, 11 (2006). Koen Brams & Dirk Pültau, “De boekhouder in de televisiemaker”. Interview met Jef Cornelis over IJsbreker 20: computerkunst, in De Witte Raaf, 153 (2011). Koen Brams & Dirk Pültau, “De techniek bepaalt wat je kan doen”. Interview met Pol Hoste over IJsbreker 20: computerkunst, in De Witte Raaf, 153 (2011). Koen Brams & Dirk Pültau, "Een reflexieve houding op televisie: dat is heel moeilijk". Interview met Jef Cornelis over de literatuurfilms, in De Witte Raaf, 124 (2006). Koen Brams & Dirk Pültau, Gesprek met Wim Van Mulders over zijn docentschap aan de Koninklijke Academie voor Schone Kunsten te Gent (1973-2002), in De Witte Raaf, 165 (2013). Koen Brams & Dirk Pültau, “Het beeld volgt de klank, niet andersom”. Interview met Jef Cornelis over IJsbreker, in De Witte Raaf, 151 (2011). Koen Brams & Dirk Pültau, 'Het geloof dat mensen zullen veranderen wanneer je zorgt voor goede woonblokken, straten en pleintjes, is even onnozel als denken dat ze dat zullen doen wanneer je de godsdienst afschaft'. Interview met Geert Bekaert over Mens en agglomeratie (1966) en de eerste architectuurfilms die hij in samenwerking met Jef Cornelis realiseerde (Waarover men niet spreekt, 1968; De straat, 1972), in De Witte Raaf, 178 (2015). Koen Brams & Dirk Pültau, “Iedereen maakt een paar keren in zijn leven een happy end”. Interview met Jef Cornelis over Het gedroomde boek – Variaties op Vita Brevis van Maurice Gilliams (1900-1982), in De Witte Raaf, 139 (2009). Koen Brams & Dirk Pültau, "Ik geloof niet dat de computer kunst kan maken". Interview met Luc Steels over de computer en de kunsten, en over IJsbreker 20: computerkunst (1984), in De Witte Raaf, 154 (2011). Koen Brams & Dirk Pültau, “In Vlaanderen kan je niets doorbreken”. Interview met Jef Cornelis over de televisiefilm 3 x kunstonderwijs, in De Witte Raaf, 159 (2012). Koen Brams & Dirk Pültau, Le double secret - het dubbele geheim. Interview met Jef Cornelis over The Music Box, Les Vacances de Monsieur Mag, Een Weekend met Meneer Magritte (Zaterdag & Zondag), in De Witte Raaf, 117 (2005). Koen Brams & Dirk Pültau, "Le spectacle, mon dieu". Interview met Jef Cornelis over de terugkeer naar de beeldende kunst en de film Little Sparta, et in arcadia ego, in De Witte Raaf, 117 (2005). Koen Brams & Dirk Pültau, "Televisie doet dingen verdwijnen. Het gaat uit het geheugen". Interview met Jef Cornelis over de eerste televisiefilms, in De Witte Raaf, 117 (2005). Koen Brams & Dirk Pültau, "Twijfel er niet aan dat televisie nog altijd gelijkstaat met politiek". Interview met Jef Cornelis over Container, in De Witte Raaf, 127 (2007). Bert Bultinck, Interview met George De Decker en Ward Weis over hun samenwerking met Jef Cornelis bij de films The Music Box en Les Vacances de Monsieur Mag, in De Witte Raaf, 117 (2005). Jef Cornelis & Bart Verschaffel, As you like it by Rem Koolhaas 1997 (Geen nest is noodzakelijk), in De Witte Raaf, 117 (2005). Lieven De Cauter, e.a., De puntzak van Heine [Container 3], in De Witte Raaf, 127 (2007). Stefan Germer, Documenta 5 van Jef Cornelis, in De Witte Raaf, 117 (2005). Marc Holthof, De ongewenste wasmachine. Over het televisiewerk van Jef Cornelis, in De Witte Raaf, 55 (1995). Bart Meuleman, Schedel en Tanden - over de rampzalige ontvangst van Container, in De Witte Raaf, 127 (2007). Jack Post, De IJsbreker: 'Live' televisie als video-installatie, in De Witte Raaf, 117 (2005). Dirk Pültau, Landschap met kerken + muziek, in De Witte Raaf, 117 (2005). Maïté Vissault, Jef Cornelis D4 et D5, in Art Même: lettre des arts plastiques de la Communauté française de Belgique, 56 (2012). 1. Founded in 1960, BRT stands for Belgische Radio en Televisie, Nederlandstalige uitzendingen (Belgian Radio and Television, Dutch-language broadcasts). It was the Dutch-speaking equivalent of the French speaking RTB (Radio-Télévision Belge, émissions françaises). After the Belgian state reform established three cultural communities—the Dutch Cultural Community, the French Cultural Community and the German Cultural Community—in 1970, RTB became RTBF (Radio-Télévision Belge de la Communauté française) in 1977 and BRT became BRTN (Belgische Radio- en Televisieomroep Nederlandstalige Uitzendingen) in 1991. Finally, after a reorganization of its legal statute, BRTN took its current name VRT (Vlaamse Radio- en Televisieomroeporganisatie) in 1998. 2. For instance: Alden Biesen (1964), De Koninklijke serres van Laken 1877-1902 (The Royal Greenhouses at Laeken 1877-1902, 1974), Landschap van kerken (Landscape with churches, 1989). 3. The first episode Home Sweet Home (1968) was a manifesto directed against the dictatorship of the bourgeois concept of the ideal home in which people try to hide and which as a consequence results in social isolation. The second episode Alice in Wonderland (1968) attacks the alienation caused by modern architecture, monotonous suburbs and town planning. Finally, the third episode Een hemel op aarde (Paradise on Earth, 1968) tries to solve the dilemma between people’s needs and the reality of both the housing environment and urban planning—a problem that over the years has completely got out of hand. 4. Bouwen in België (Building in Belgium, 1971), M’ZAB, Stedelijk wonen in de woestijn (M’ZAB, City Life in the Desert, 1974), Rijksweg 1 (State Motorway 1, 1978). 5. The German author and filmmaker Alexander Kluge (°1932), a former student of Theodor Adorno, is above all a man of words. In 1962 he was co-author and one of twenty-six signatories to the Oberhausener Manifest, which marked the launch of the Junger Deutscher Film (New German Cinema). In the decades that followed he made numerous films, worked for television, wrote fiction and became well-known as a cultural and social critic. 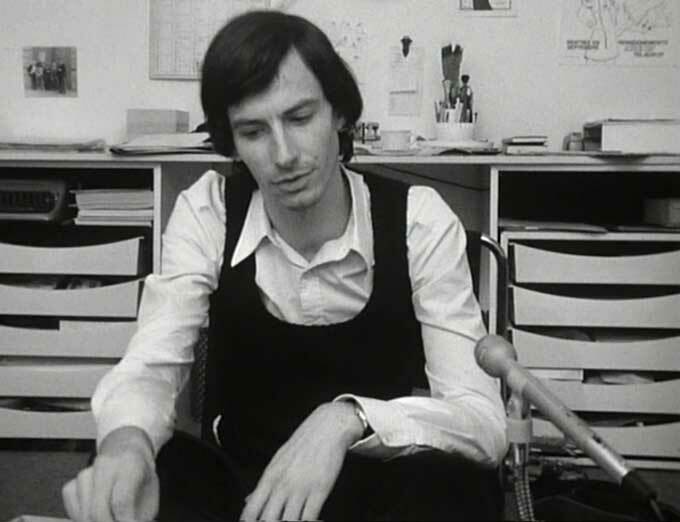 Throughout his career, Alexander Kluge has put into practice a new concept of montage, intended to enable the spectators to engage their imaginative faculties while watching a film. In 1987 he founded the television production company DCTP, which produces late-night and nighttime independent television slots for private channels. With this production tool, he directed cultural magazine on the arts, society, politics and history for German commercial television. 6. From 1968 to 1972, the Fernsehgalerie Gerry Schum and videogalerie schum, both founded by Gerry Schum (1938-1973), aimed to find a way of using the mass medium television for artistic purposes and, consequently, of making art more accessible to a wide public. Rather than presenting documentaries about artists, the goal was to create works of art especially for television and, thus redefine television as an artistic medium targetting a mass audience. Schum organized on television the legendary exhibitions Land Art (1969) and Identifications (1970) and he presented artists such as Joseph Beuys, Gino de Dominicis, Jan Dibbets, Richard Long, Mario Merz and Ger Van Elk. 7. For instance: XXXIII BIENNALE INTERNAZIONALE D’ARTE VENEZIA (1966), Documenta 4 (1968), 10de Biënnale van Middelheim Antwerpen (10th Biennial Middelheim Anwerp, 1969), Sonsbeek Buiten de Perken (Sonsbeek Beyond its Bounds, 1971), Documenta 5 (1972). 8. Glossolalia is the fluid vocalizing of speech-like syllables that are without any readily comprehensible meaning, in some cases as part of religious practice. 9. Xenoglossia refers to the putative speaking of a natural language previously unknown to the speaker. Along with the exhibition Inside the White Tube. A retrospective view on the television work of Jef Cornelis, Argos works together with Cinematek for the screening series Jef Cornelis that takes place in the Cinematek in Brussels from January 30th until February 29th, which takes place in the Cinematek in Brussels from January 30th until February 29th, as well as with Bart Verschaffel for the series of debates 111h31'19" of Television that takes place in different locations during the month of March. Thanks to: Jef Cornelis and Christine Kloeck; Tom Bonte, Helena Kritis (Beursschouwburg); Jan Blondeel (canvas.be); Peter Rotsaert, Emmanuelle Deschrevel, Inge Coolsaet (Cinematek); Bart Verschaffel; Christian Moeltner, Kamil Mroczek, Stefan Optiz, Andree Wochnowski (Eidotech); Anton Herbert (Herbert Foundation); Lucas Van De Walle, Chris Pype (Licht! ); Jurgen Maelfeyt, Jonas Temmerman (Studio Jurgen Maelfeyt); Sarah Desmedt, Joris Redig (The Subtitling Company); Jan Vanregemorter en VRT-archiefdienst (VRT); Olivier Ernould, Fred Oulieu, (Whitebox); Sandrine Blaise; Dirk Verbiest; Argos staff. The complete work by Jef Cornelis is distributed by Argos - Centre for Art and Media. Argos Team: Laurence Alary, Ine Boogmans, Andrea Cinel, Hajar Lehyan, Yakita Magamadova, Jérémy Naklé, Rolf Quaghebeur, Sofie Ruysseveldt, Ive Stevenheydens, Bram Walraet.